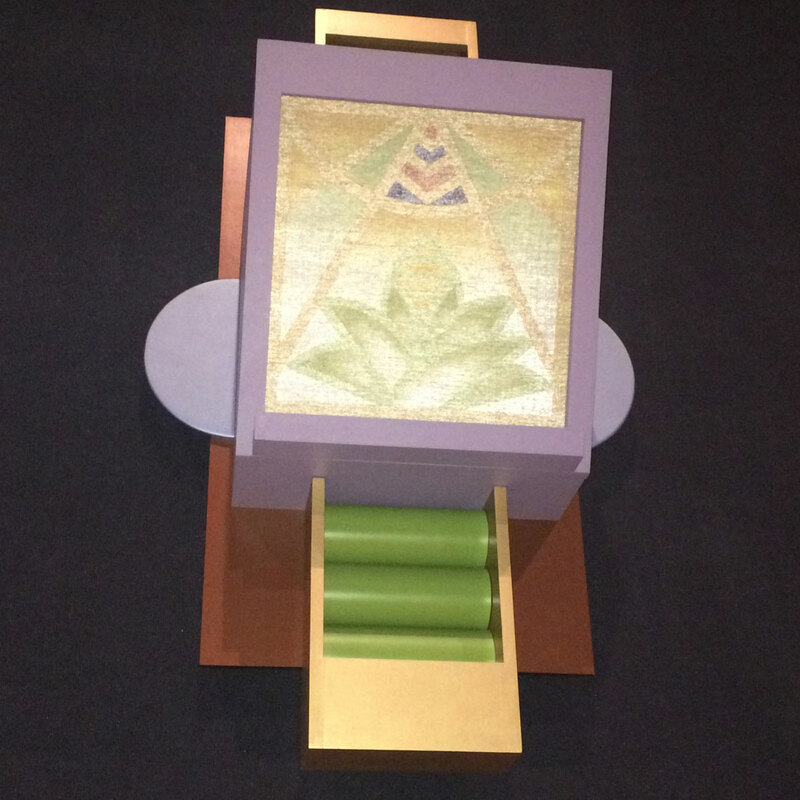 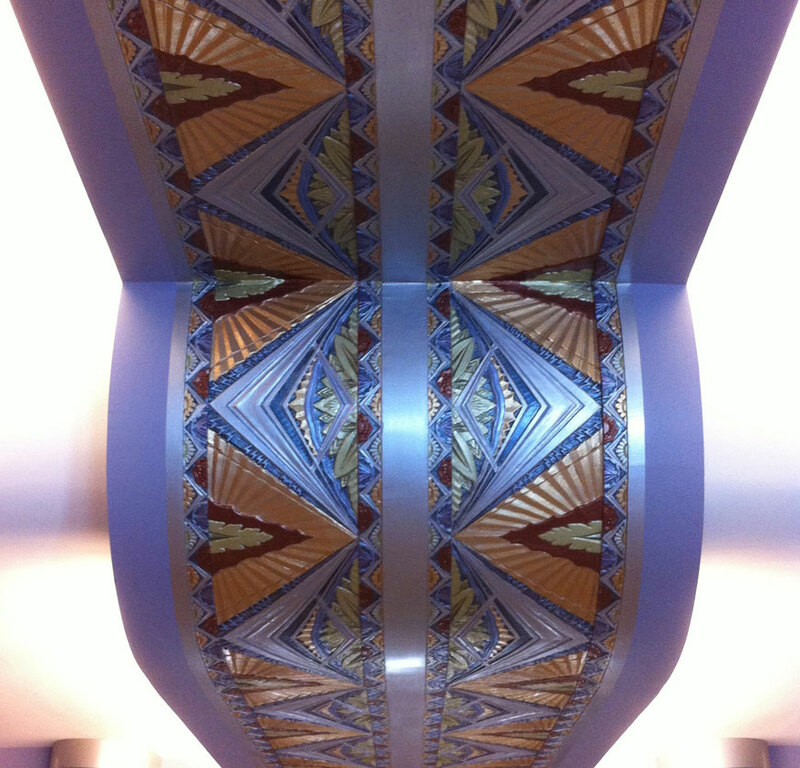 The Sapphire provided design and decorative painting services for the restoration of the Office of the Attorney General inside the Indiana Statehouse. 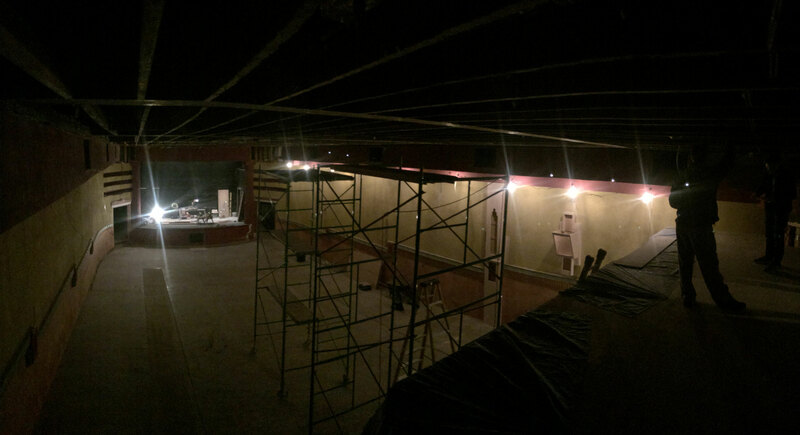 We were honored to be given the responsibility of restoring the People’s House and maintaining our collective asset. 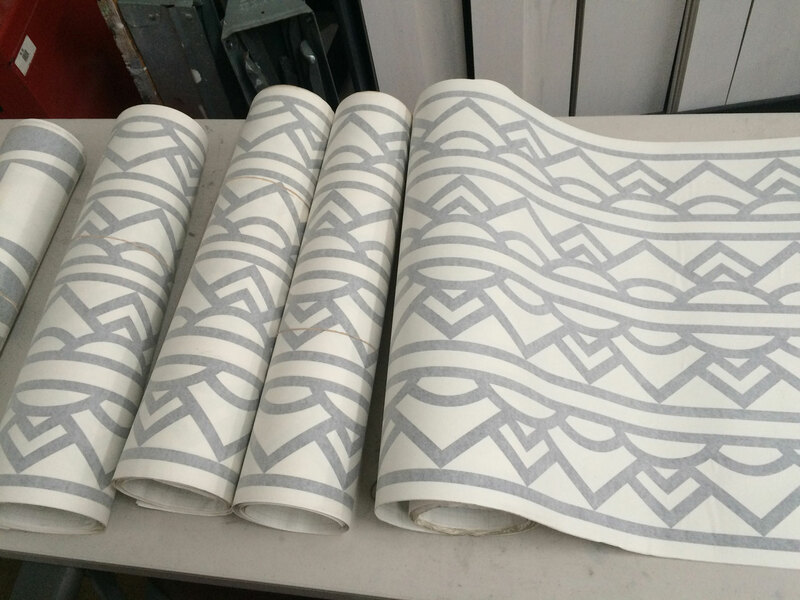 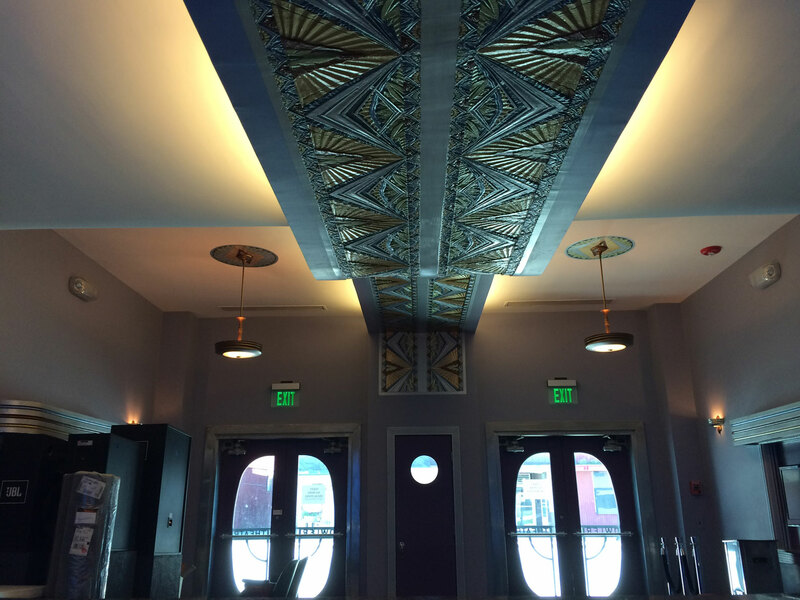 We created and applied a design that suited the historic building while managing costs. 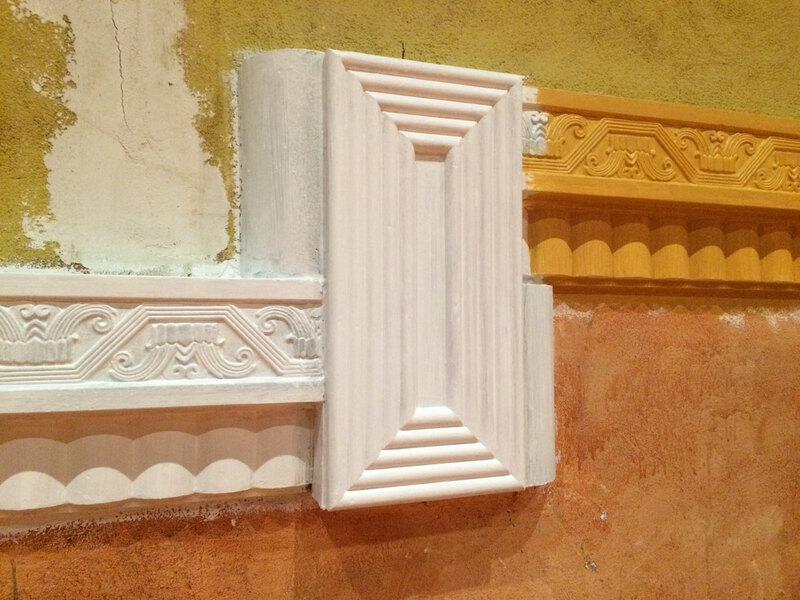 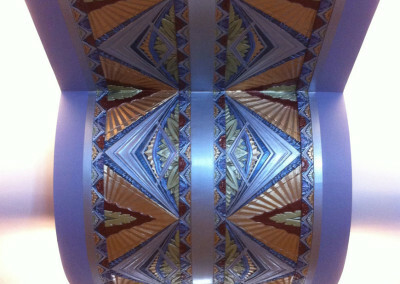 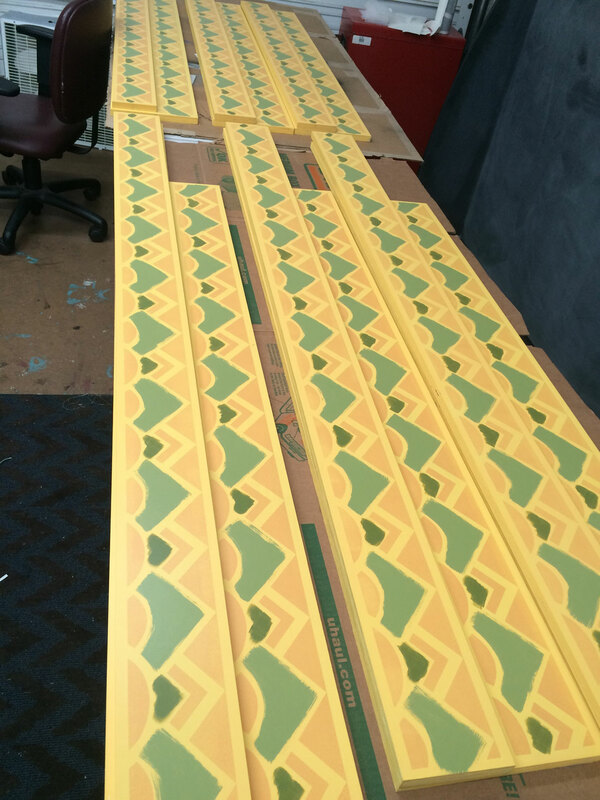 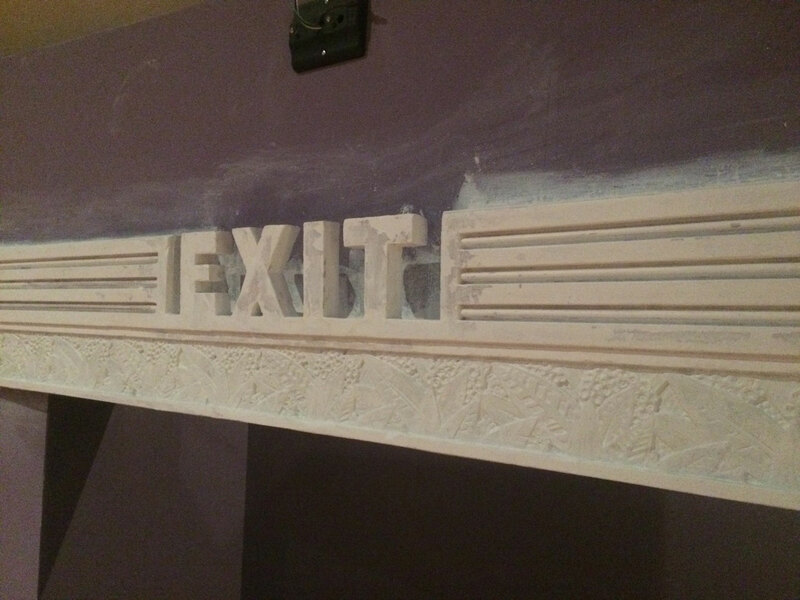 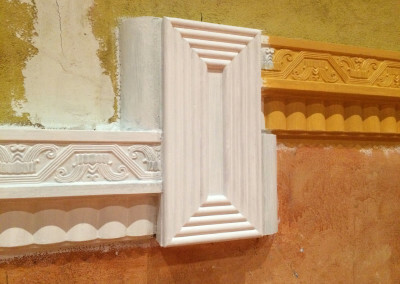 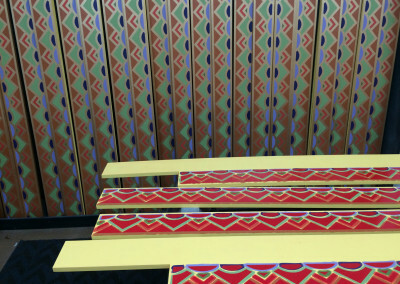 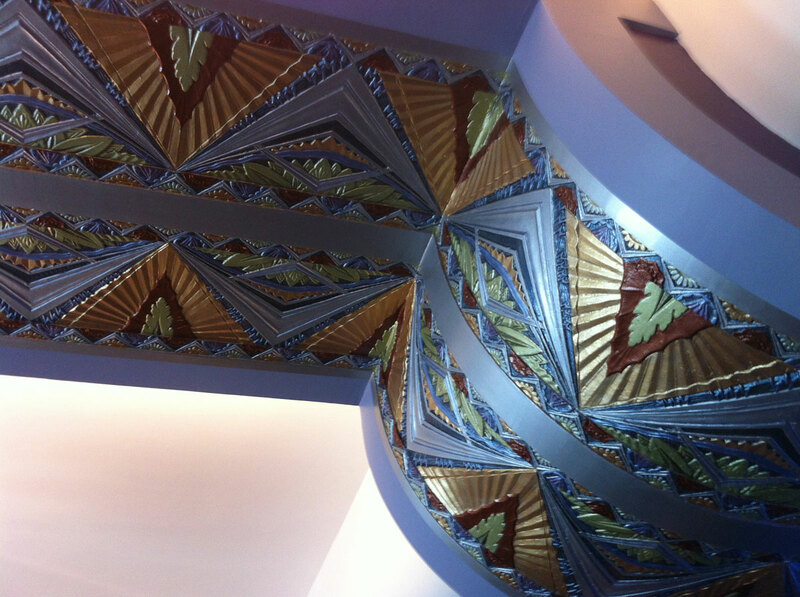 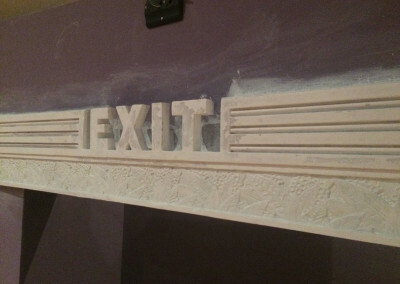 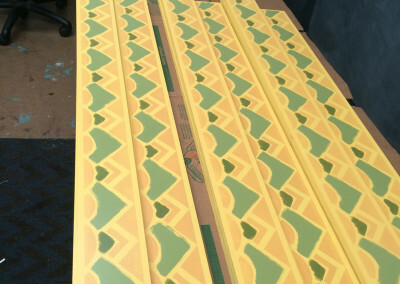 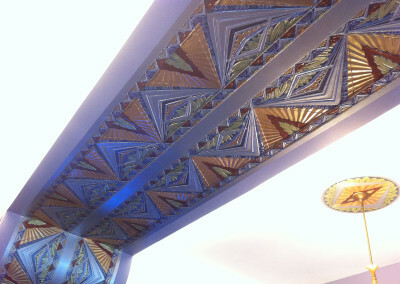 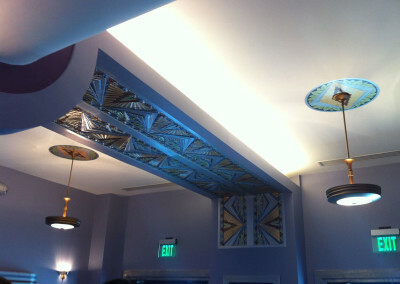 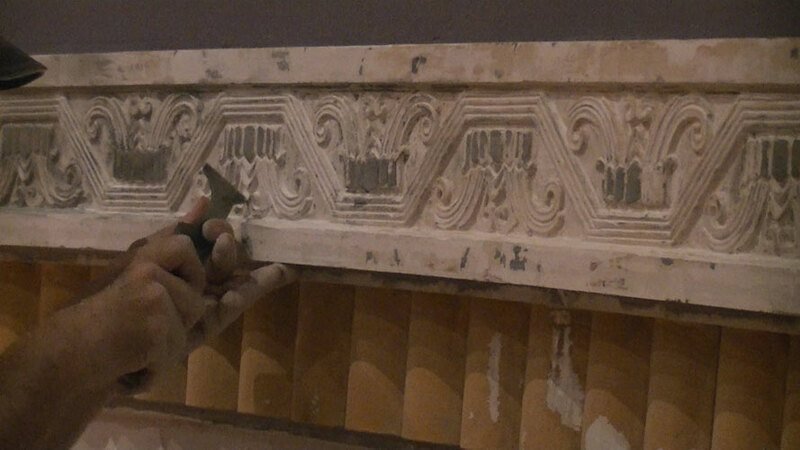 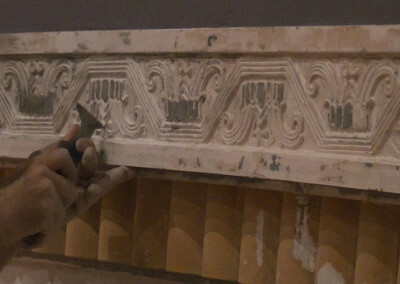 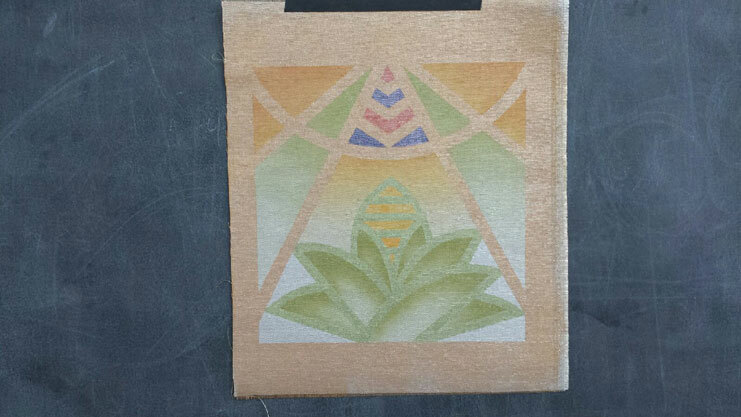 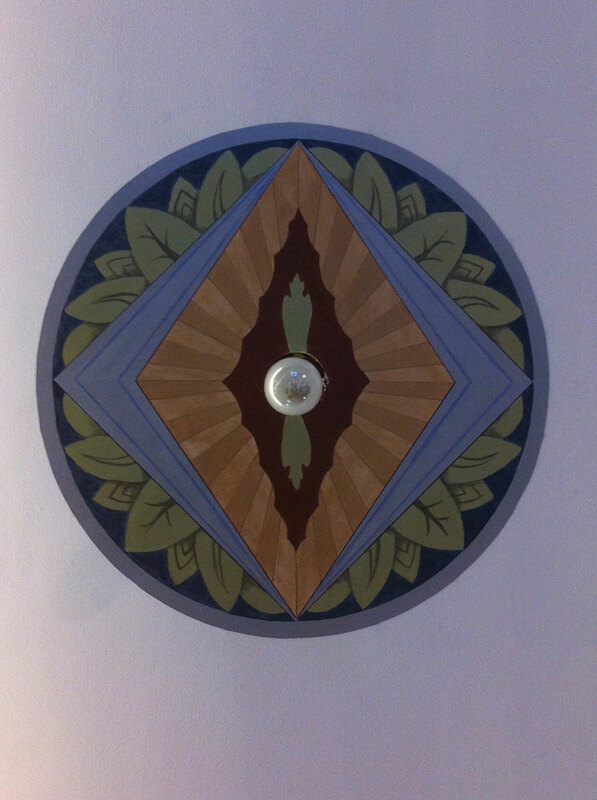 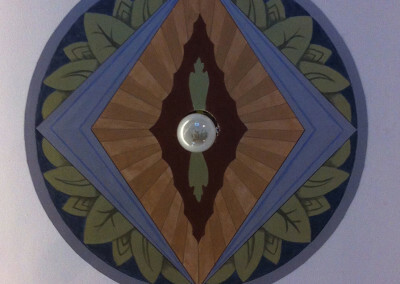 Over 9 months, 4 Sapphire Artists repaired and painted all the plaster moldings, medallions, walls and ceilings. 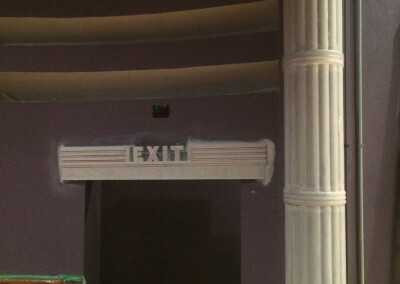 We used soft gold, sage and burgundy metallics alongside a deep blue, matched from the White House, and alabaster white for the palette to harmonize with the oak wood trim and red, white, grey, and black marble. 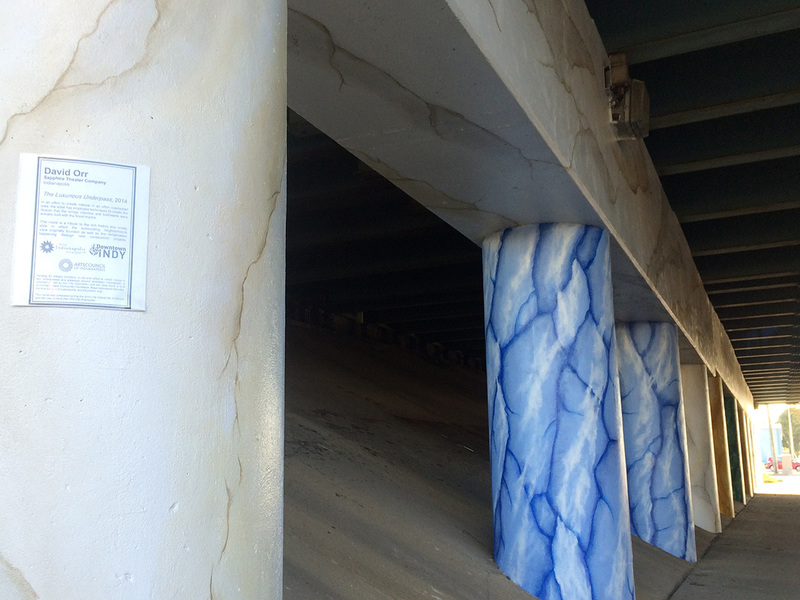 Special Thanks to the Sapphire Artists for their dedicated work on this project: David Orr, Ben Moran, Kevin Angell and Kara Beth Rasure. 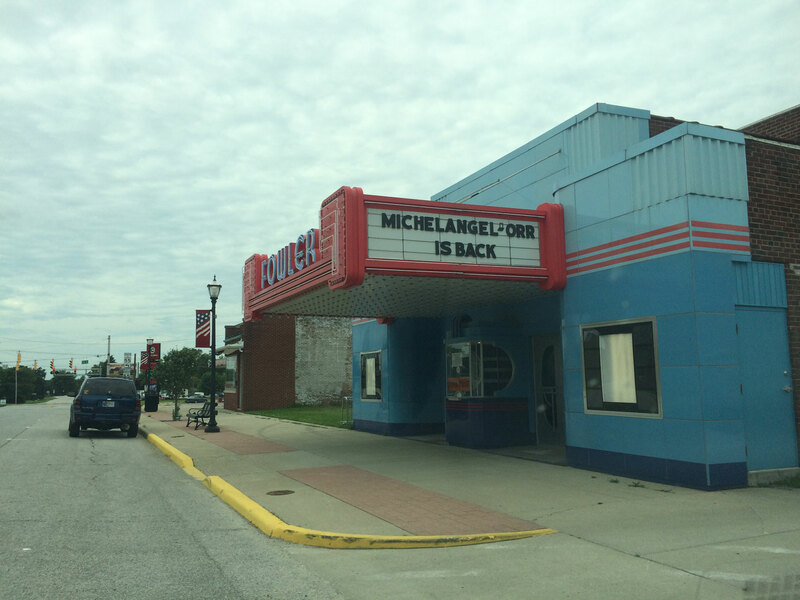 We are very proud to have partnered with The Prairie Preservation Guild and Schutter Construction to renovate this Benton County landmark. 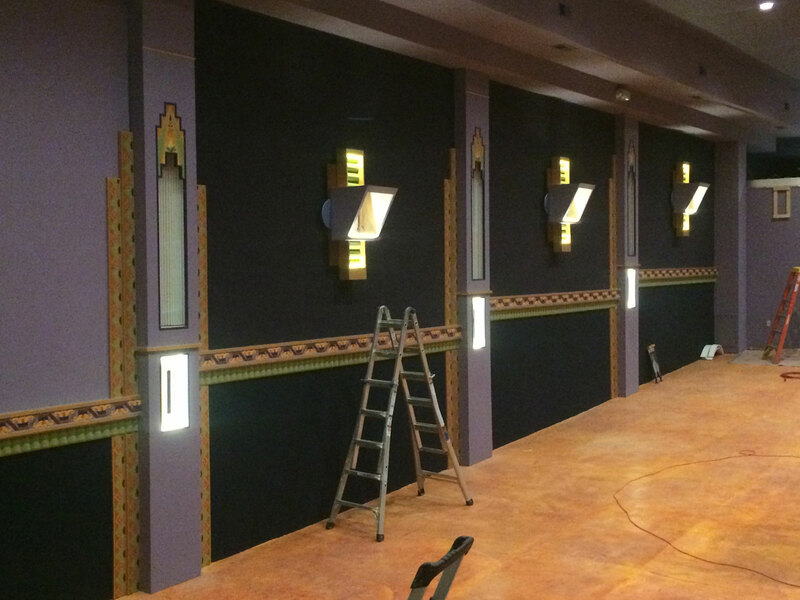 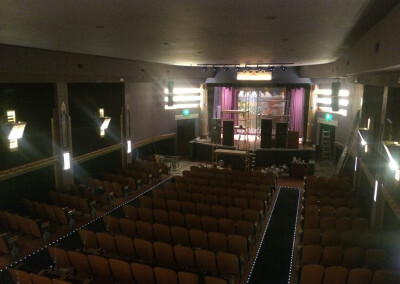 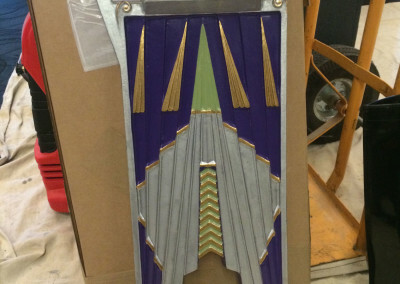 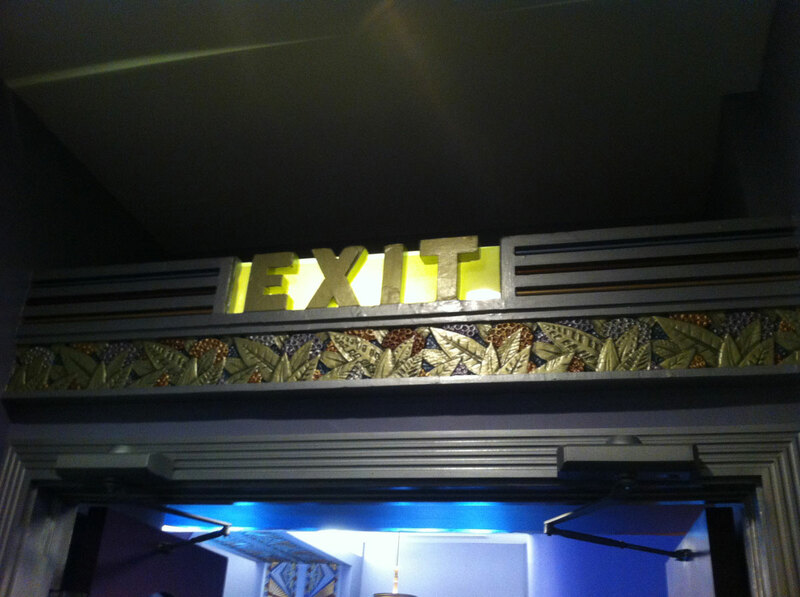 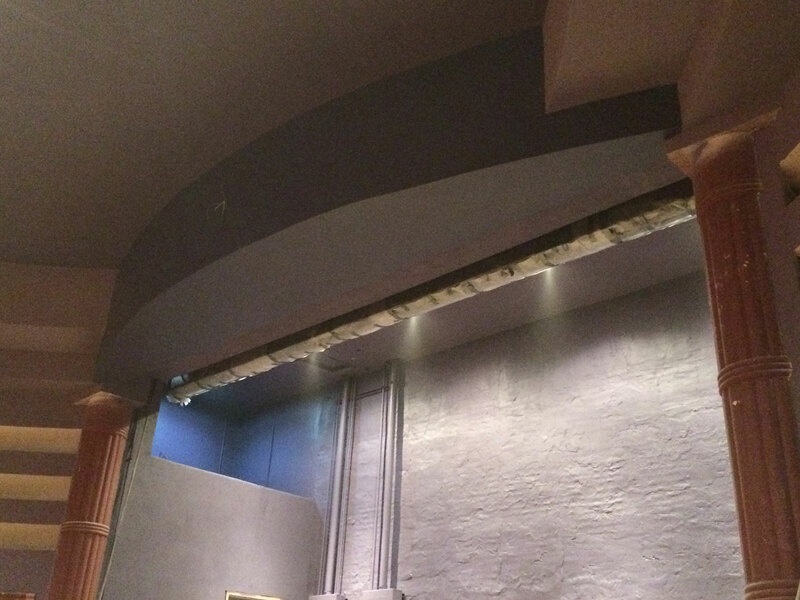 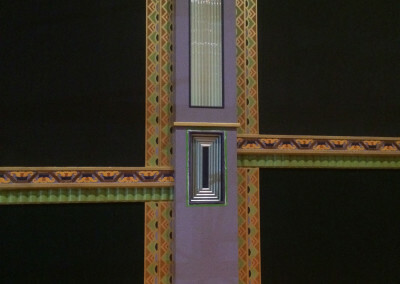 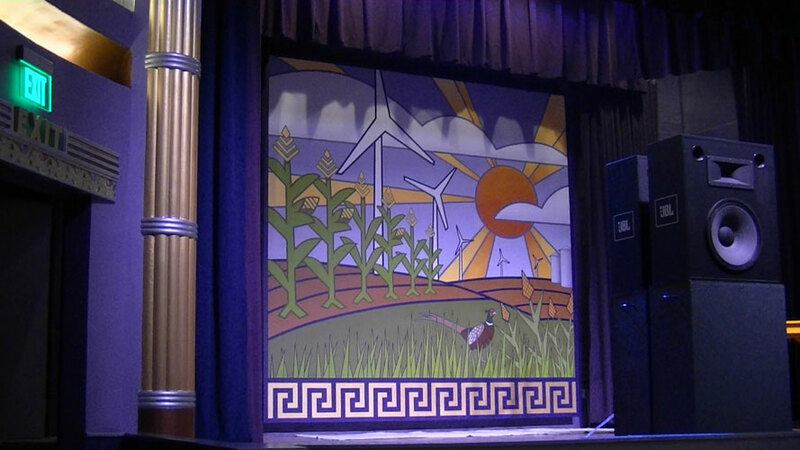 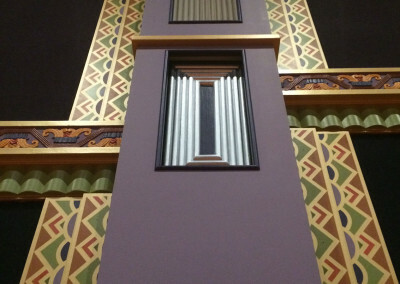 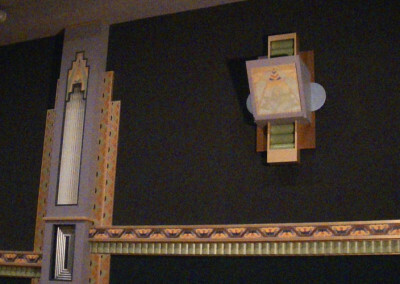 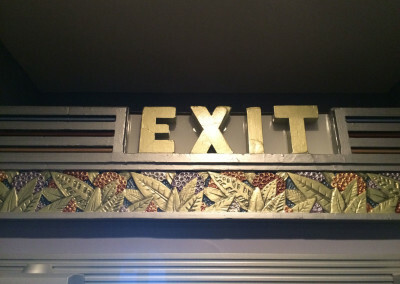 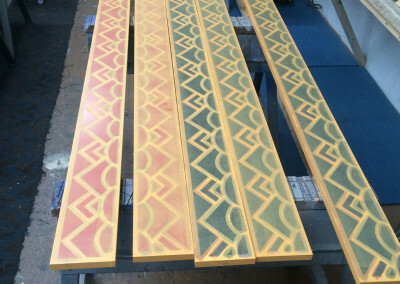 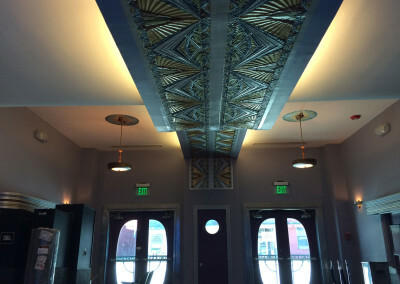 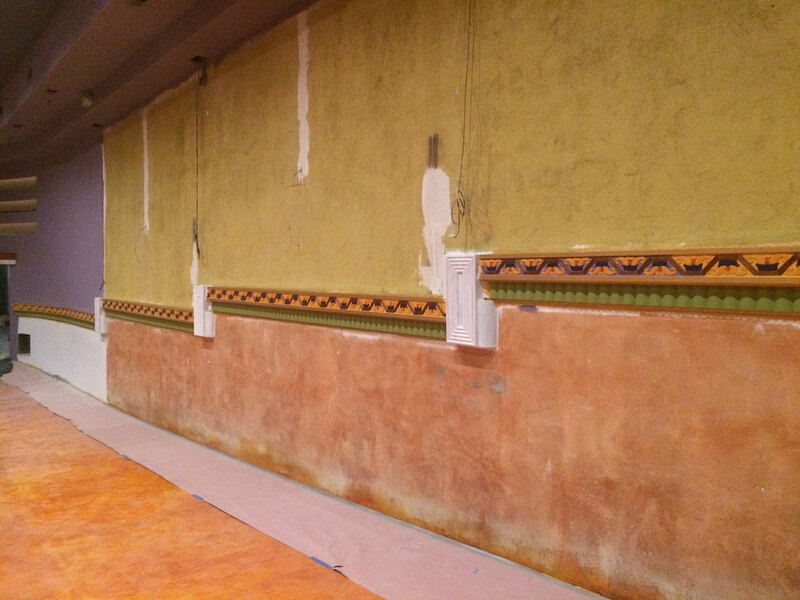 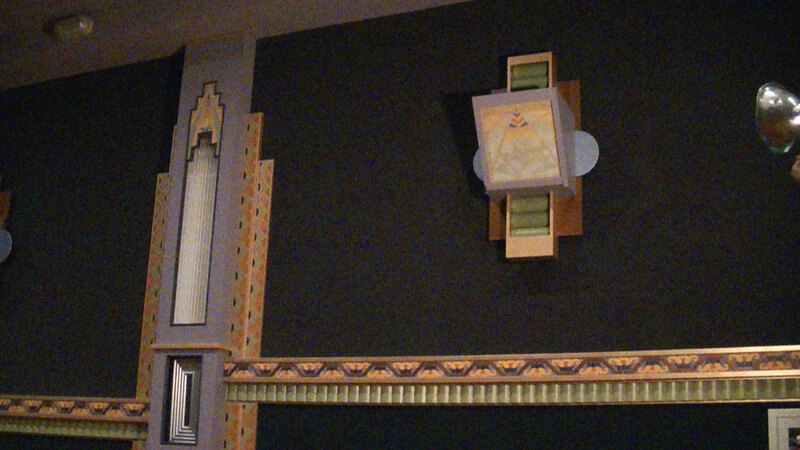 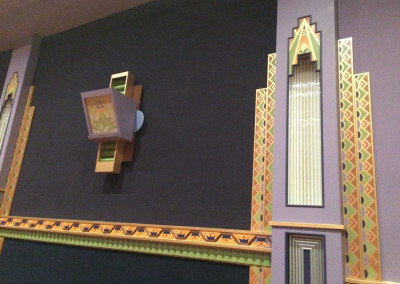 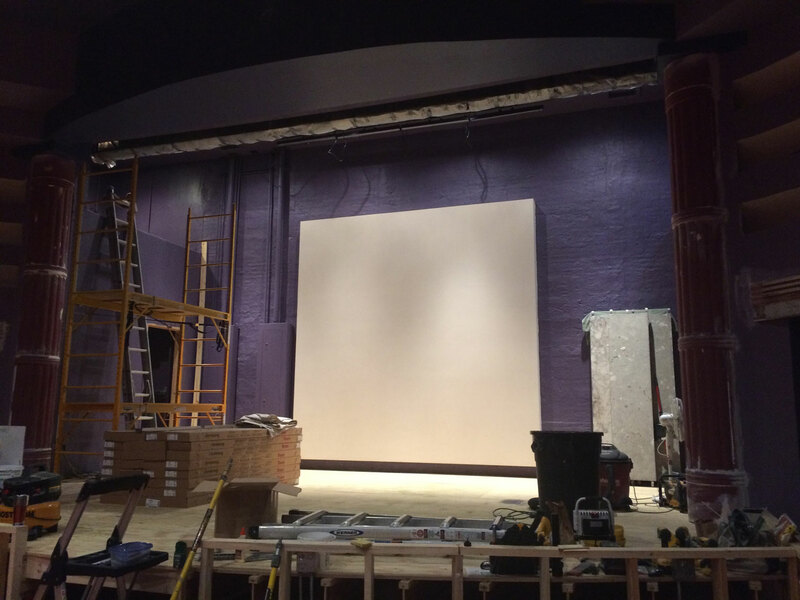 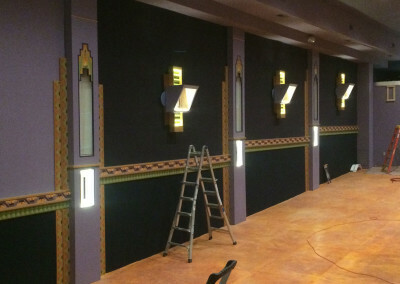 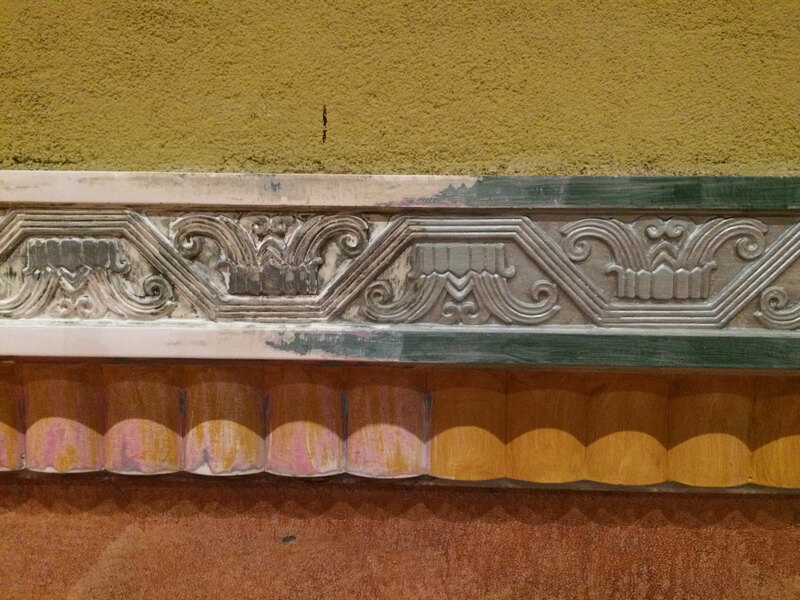 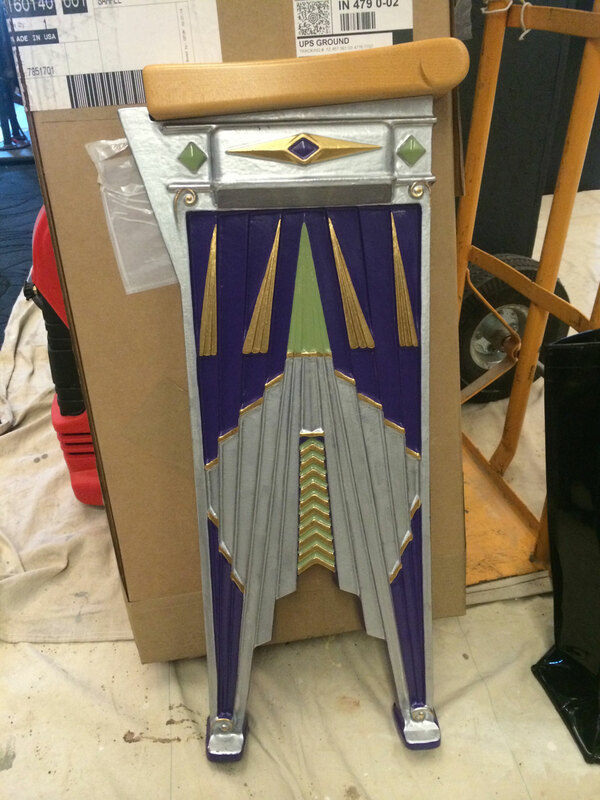 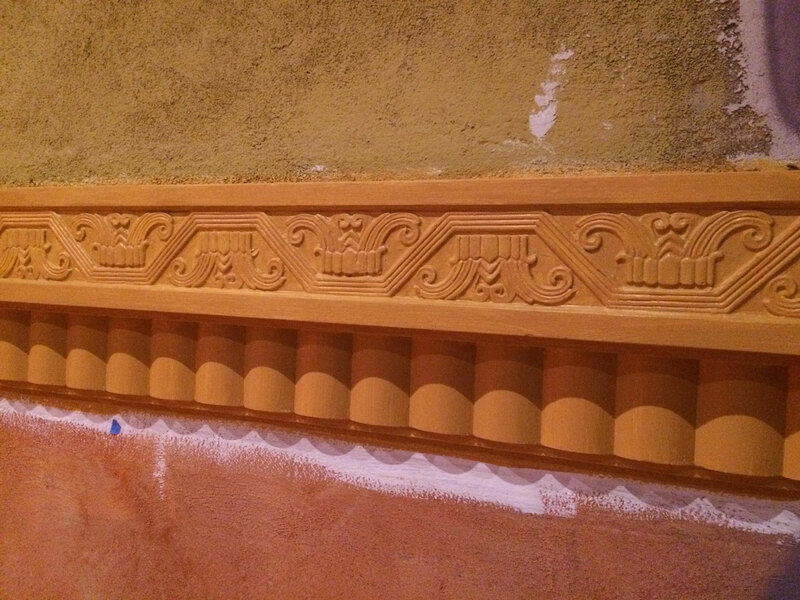 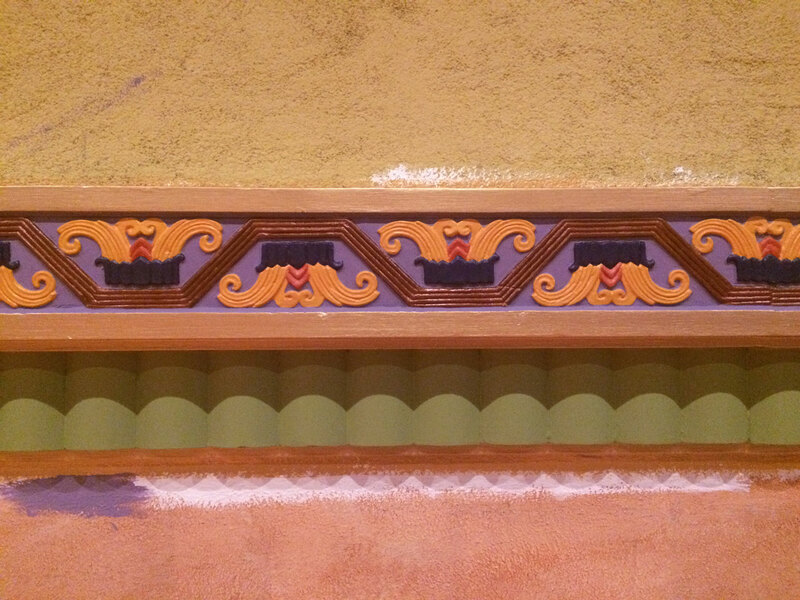 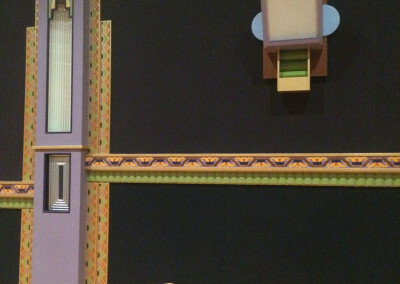 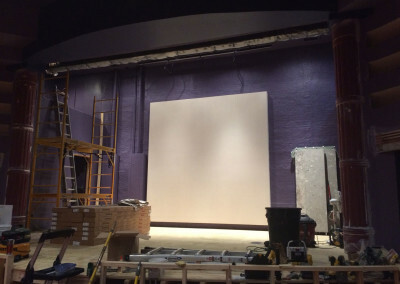 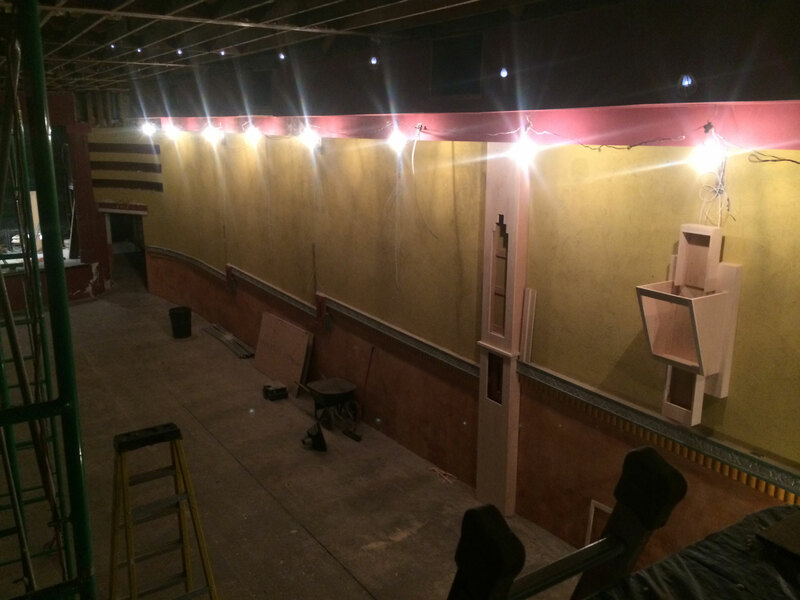 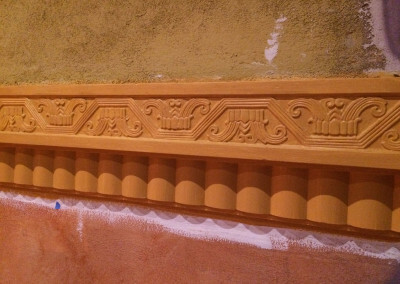 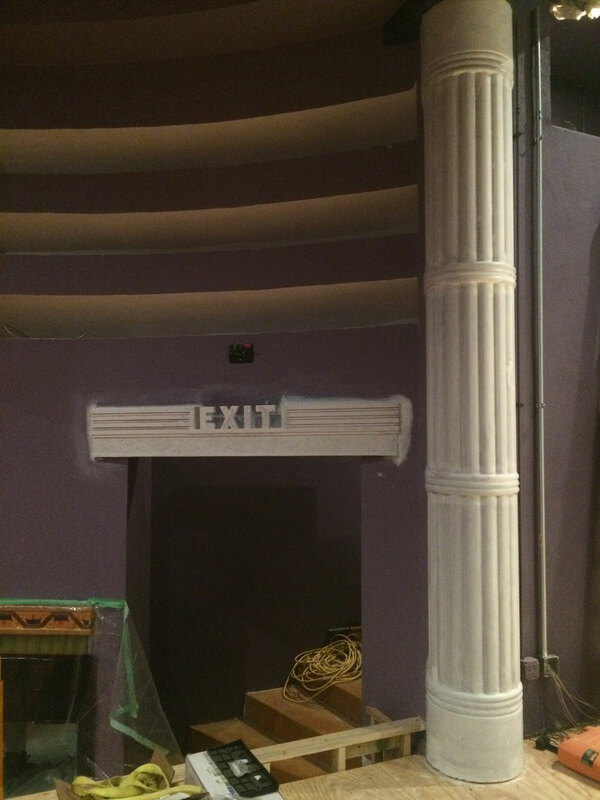 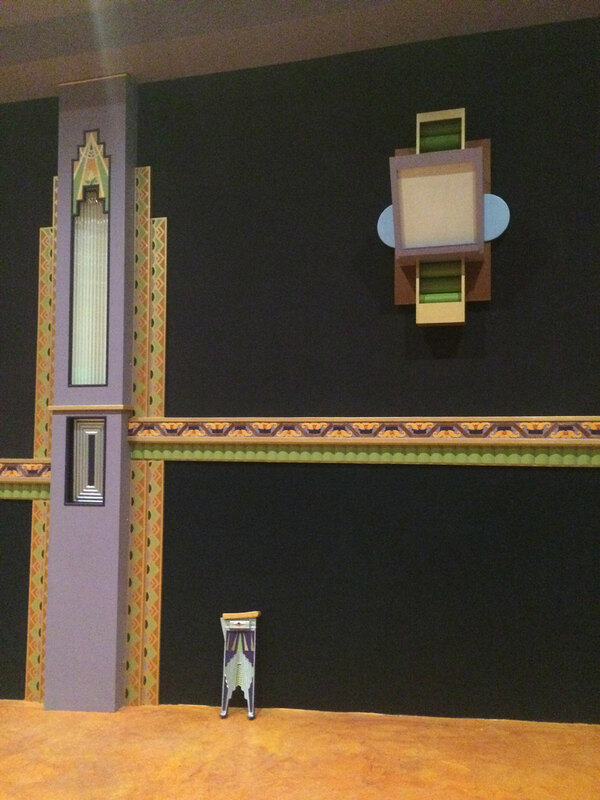 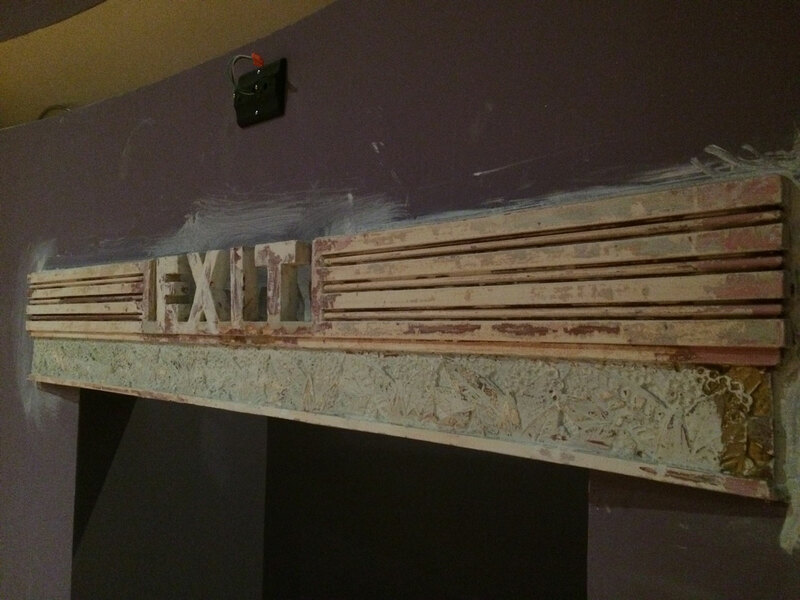 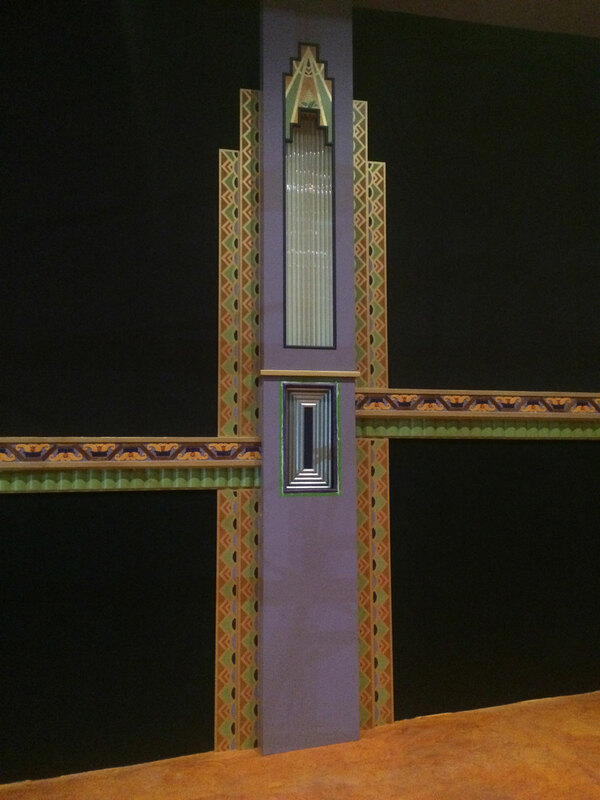 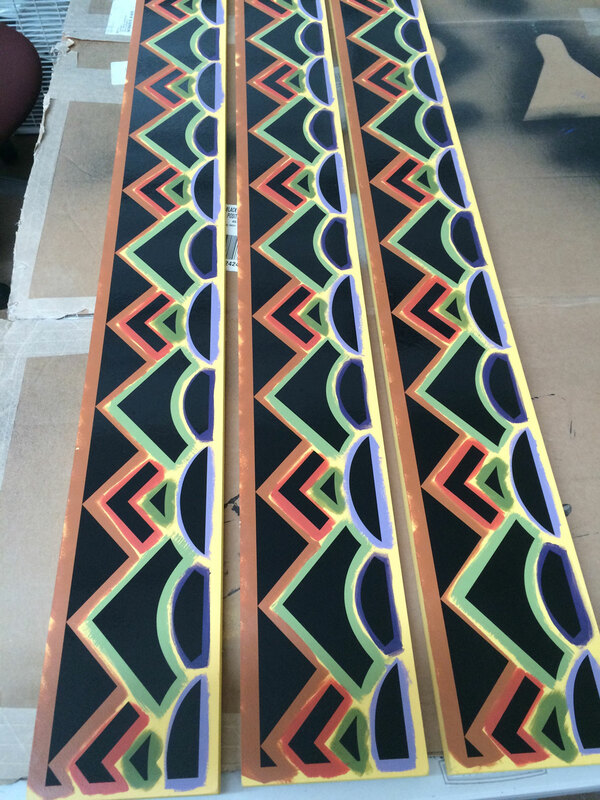 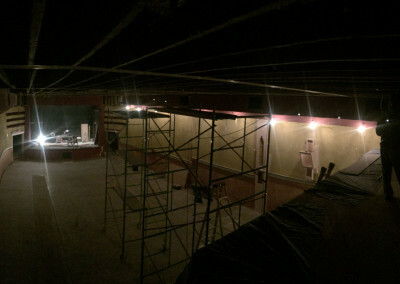 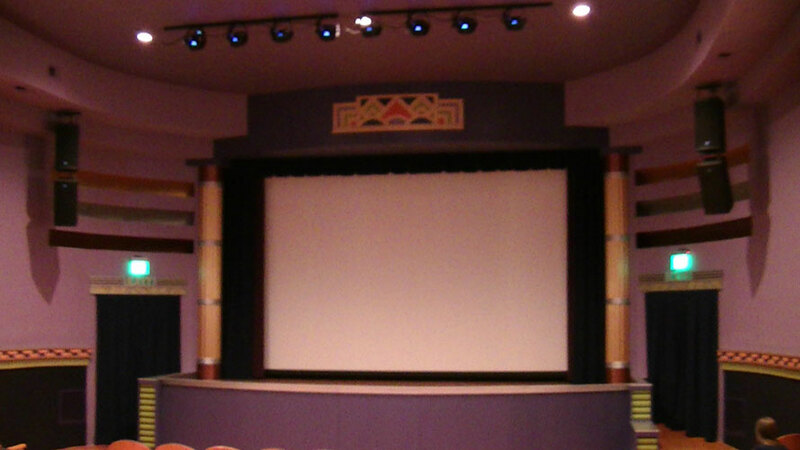 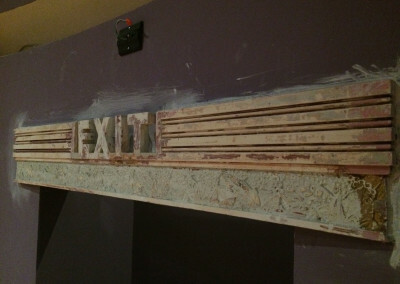 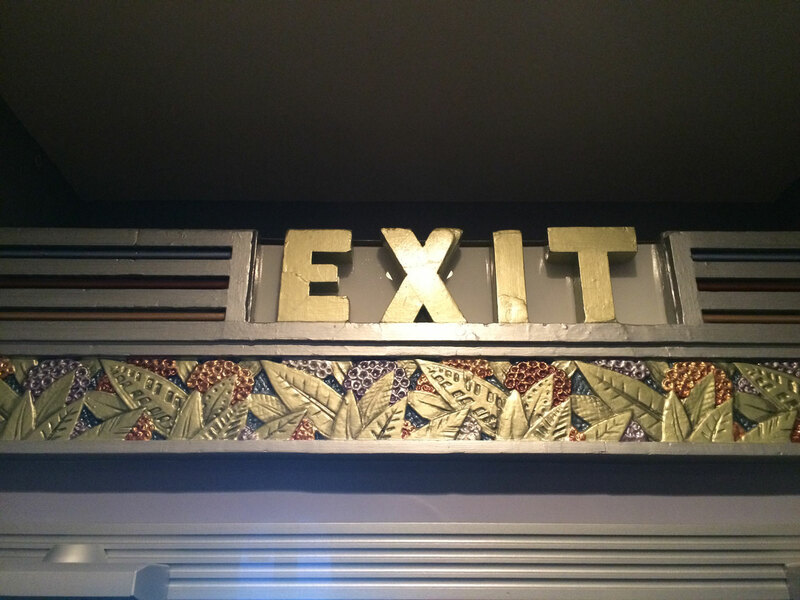 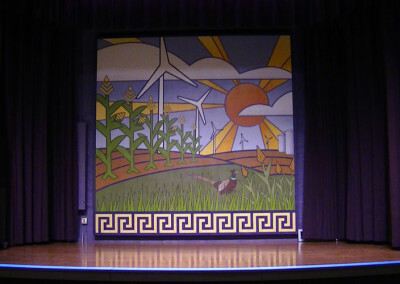 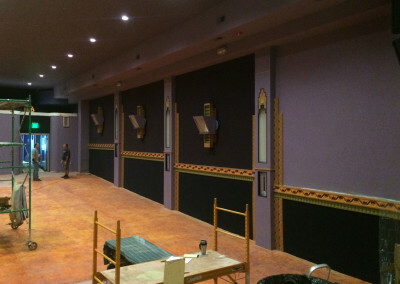 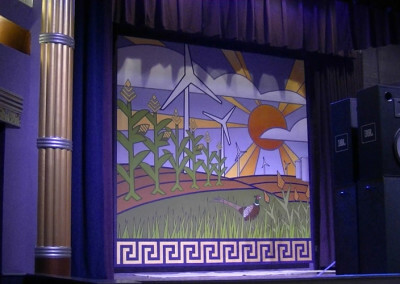 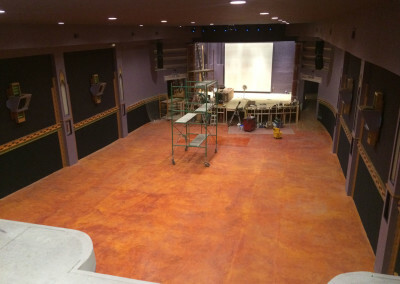 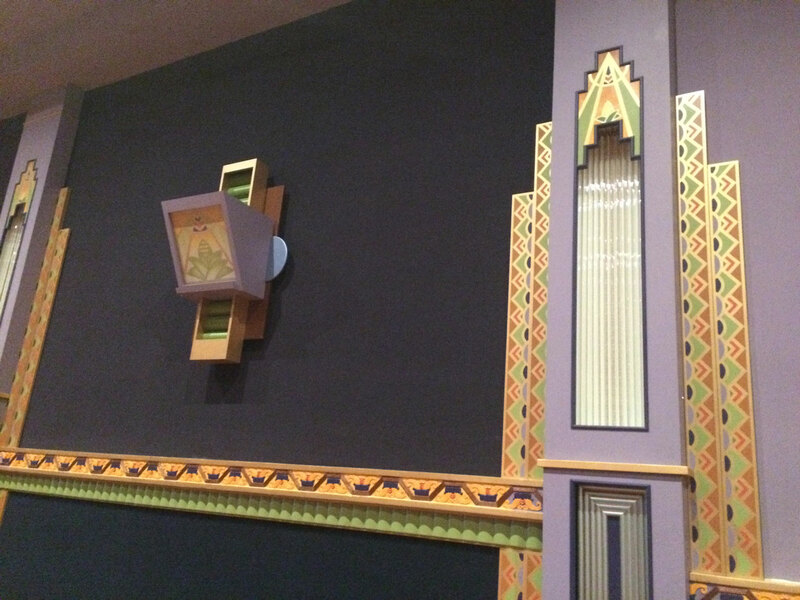 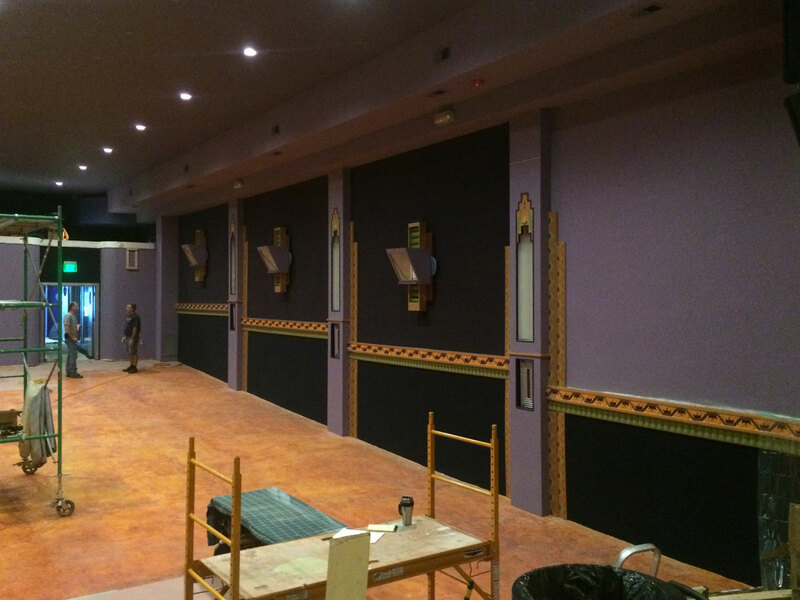 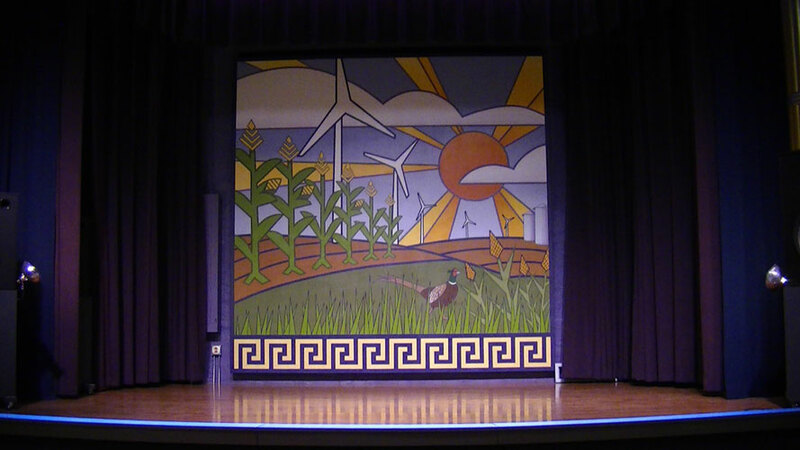 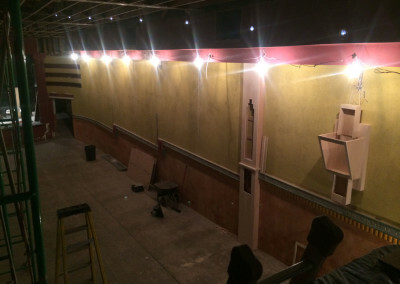 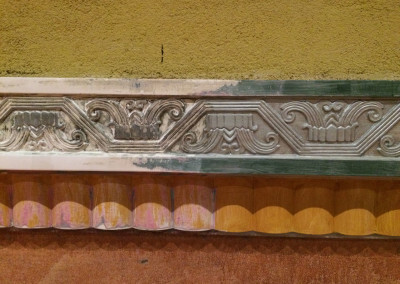 The Sapphire Artists handled all the decorative painting elements for the Fowler Theatre Restoration Phases 2 & 3, including plaster restoration, multicolored and metallic plaster finishes, column and sconce artwork features, stage columns, proscenium medallion and a stage backdrop mural. 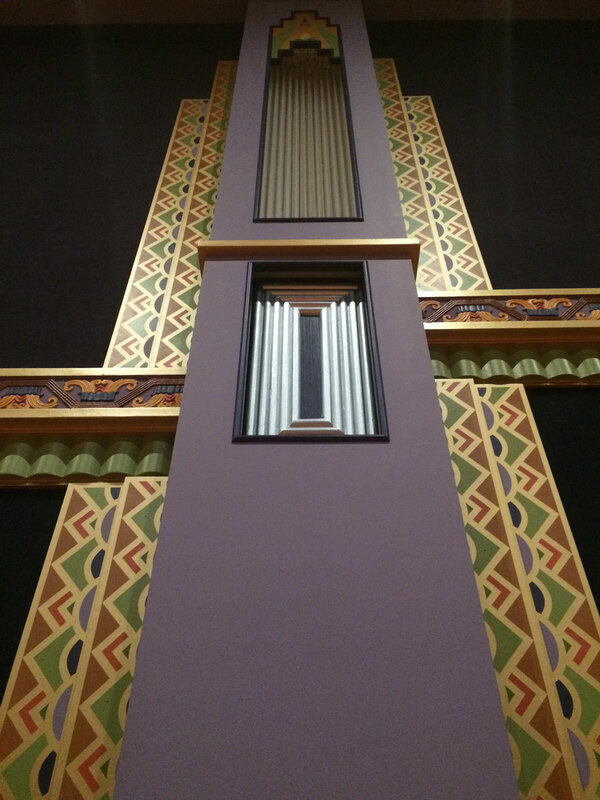 The building is just beautiful, you can share pictures online and talk about it, but until somebody walks in here, I don’t think they can fully grasp just how beautiful this theatre is. 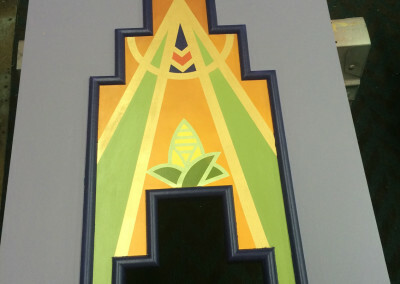 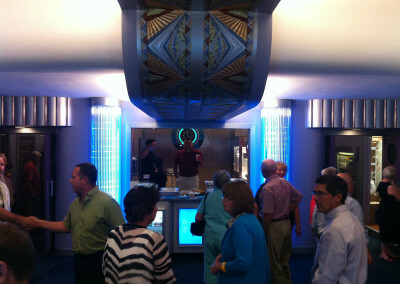 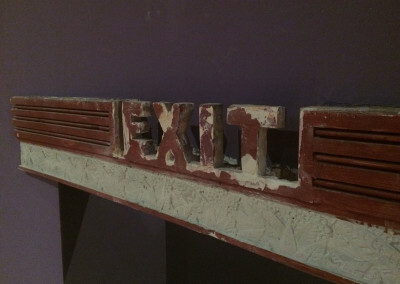 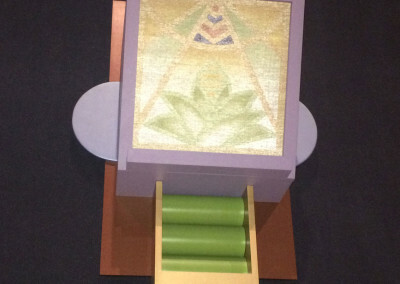 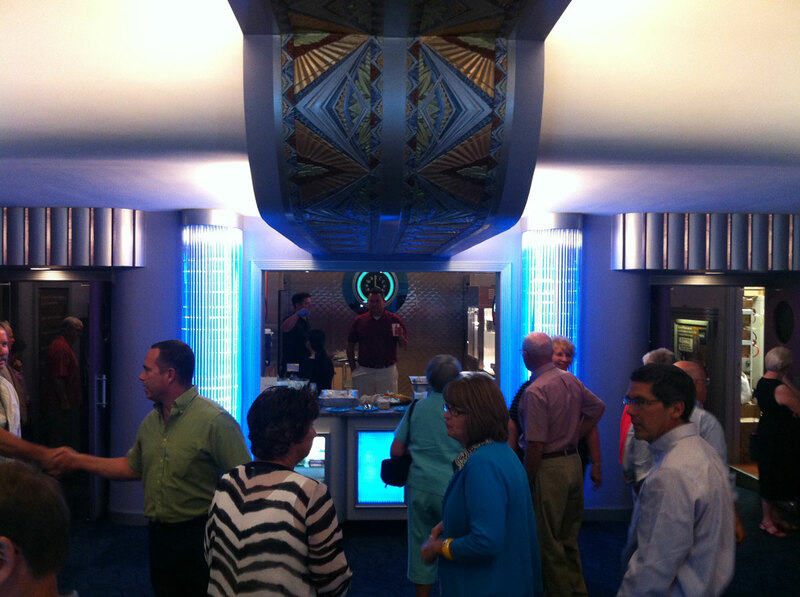 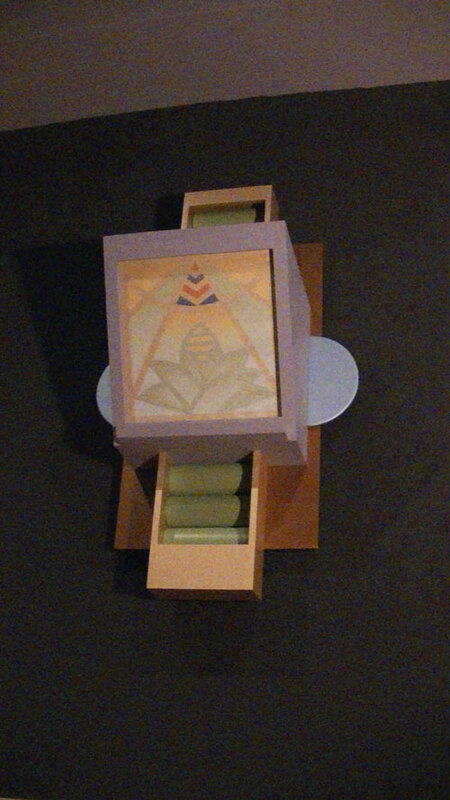 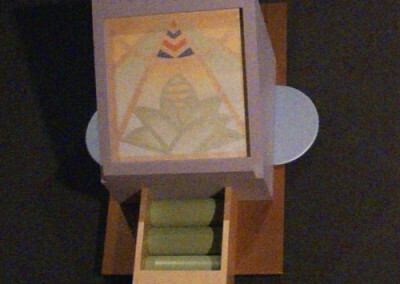 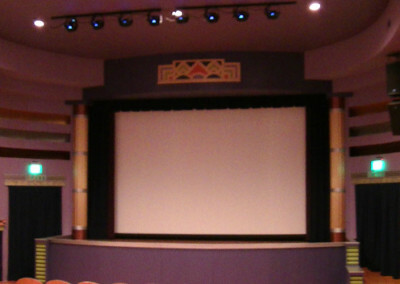 The Sapphire Theatre was selected for the Vibrant Corridors project. 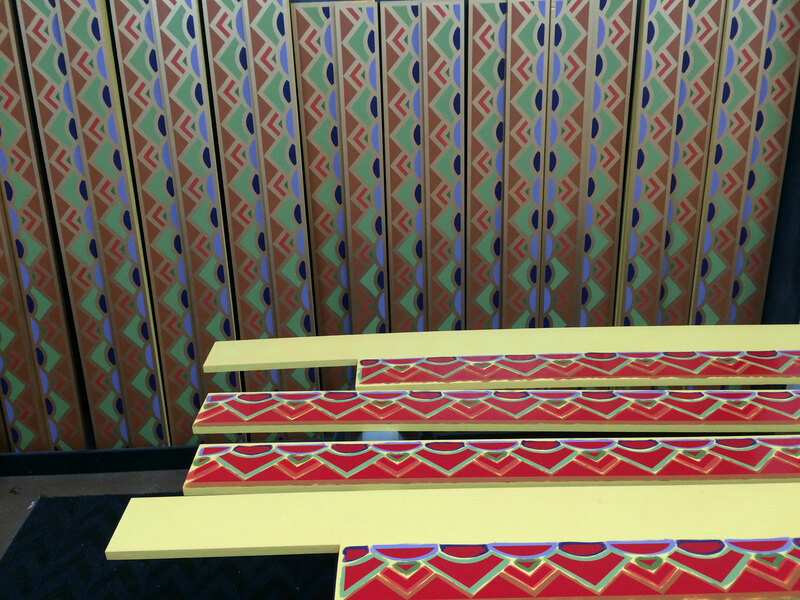 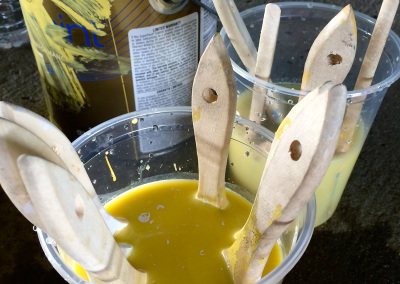 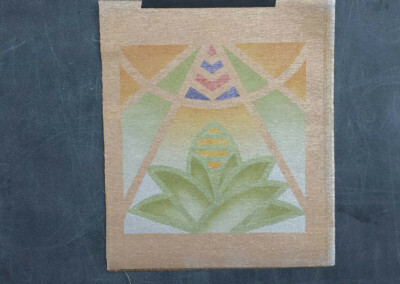 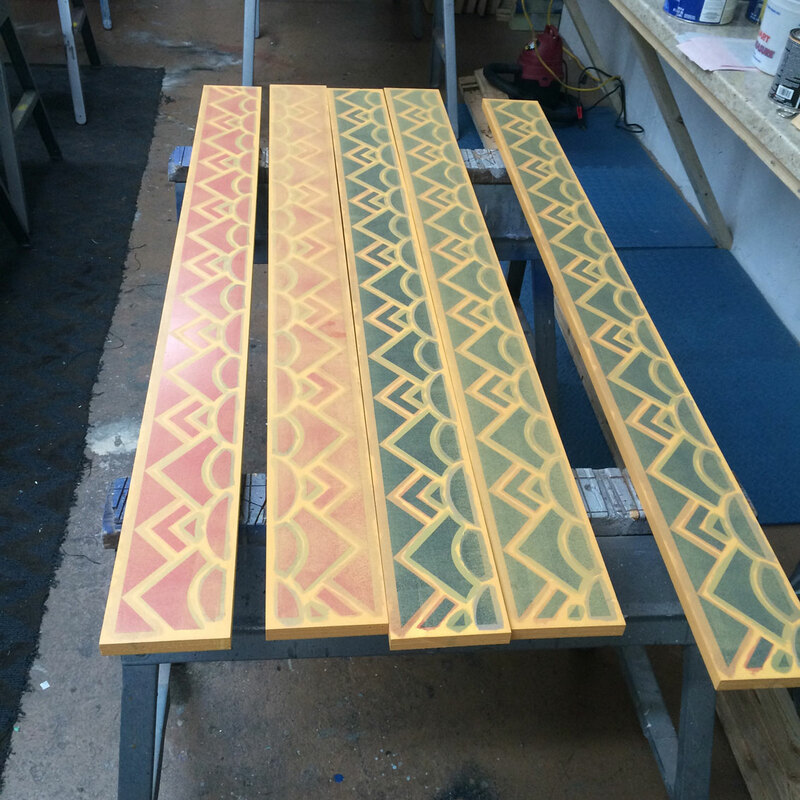 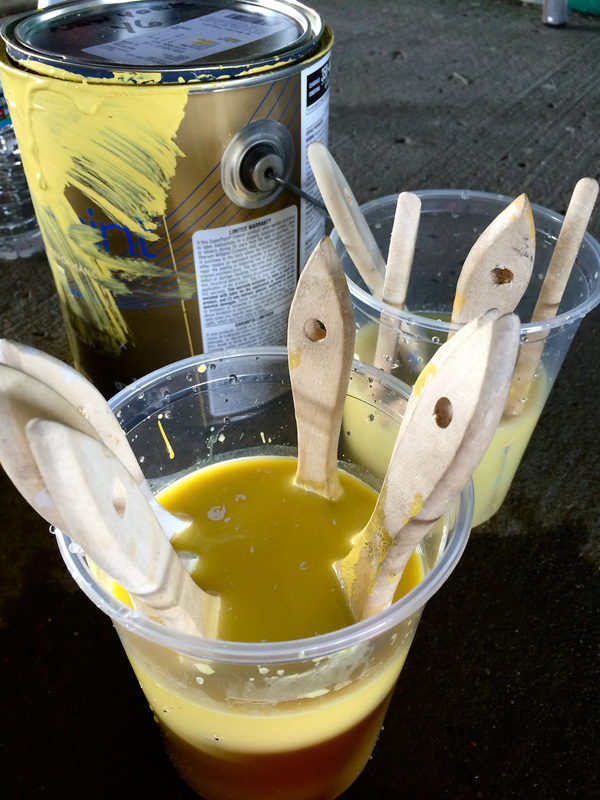 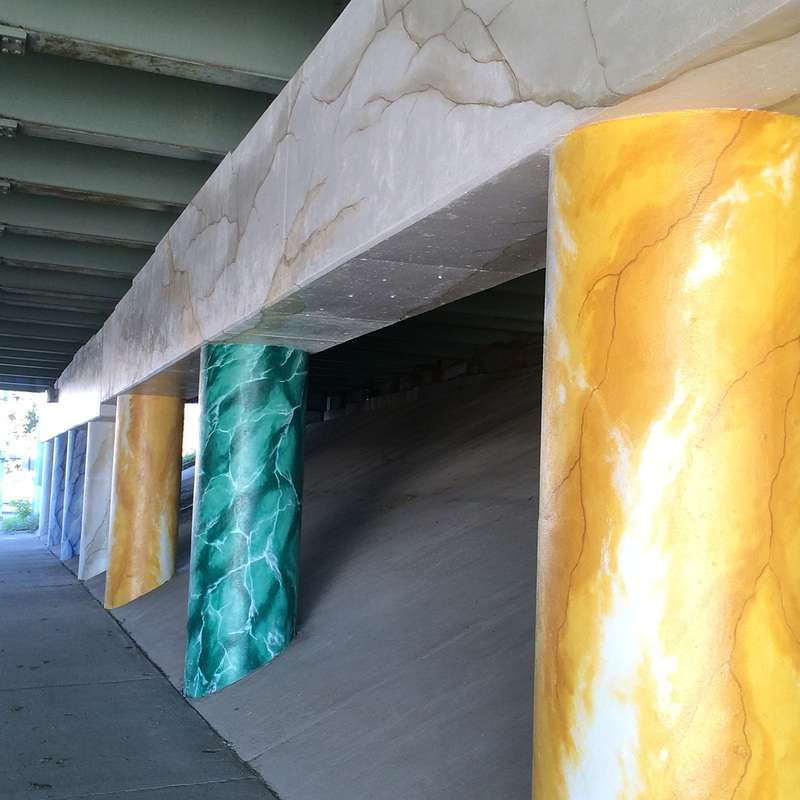 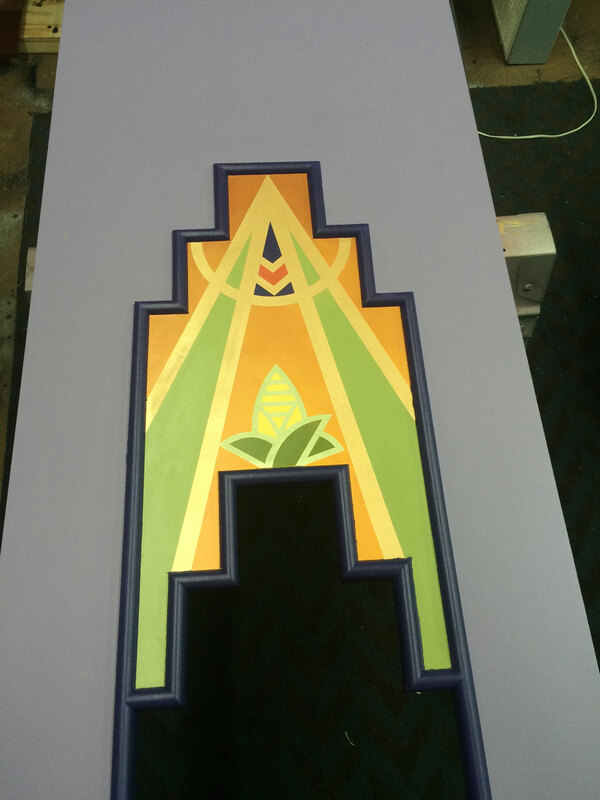 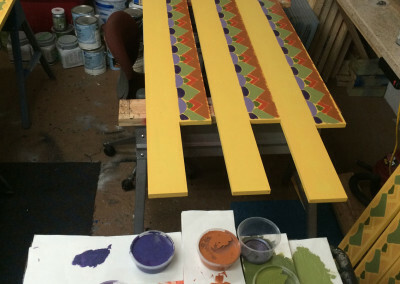 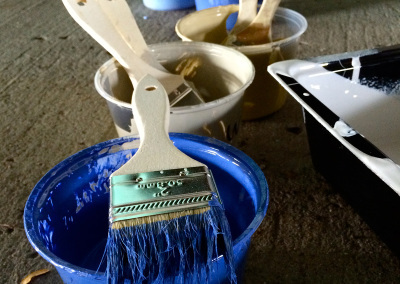 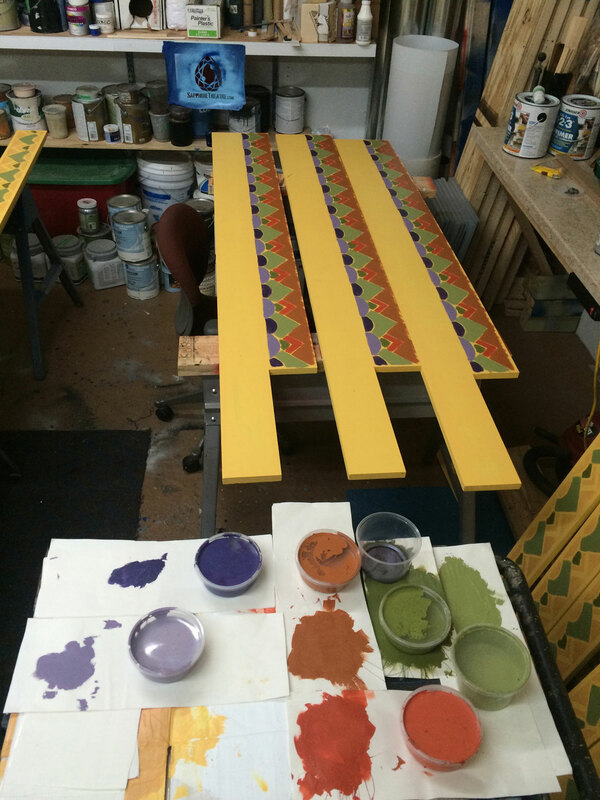 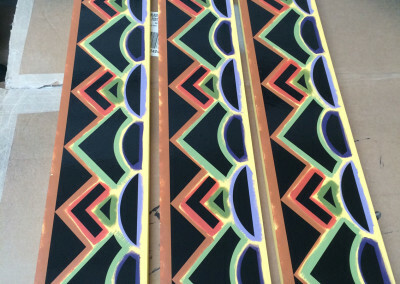 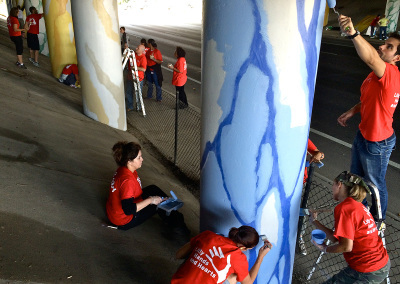 Vibrant Corridors is a civic-led, public art initiative to beautify the downtown environment and help create exciting neighborhoods and travel corridors. 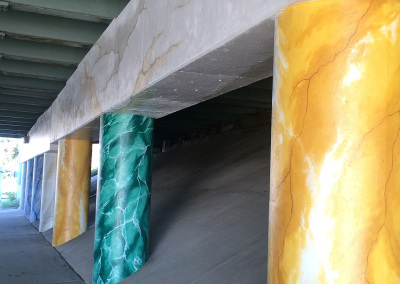 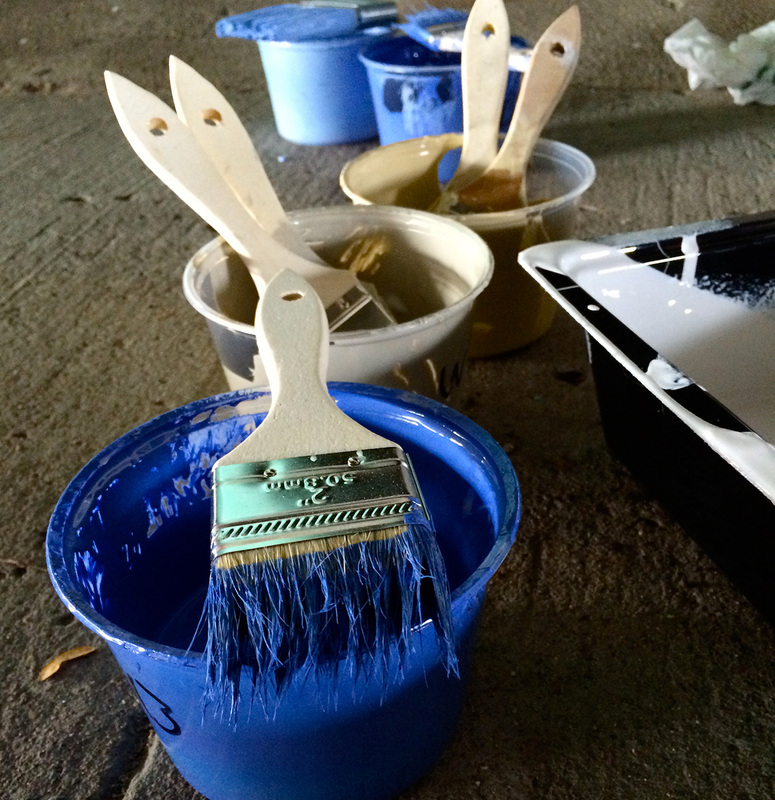 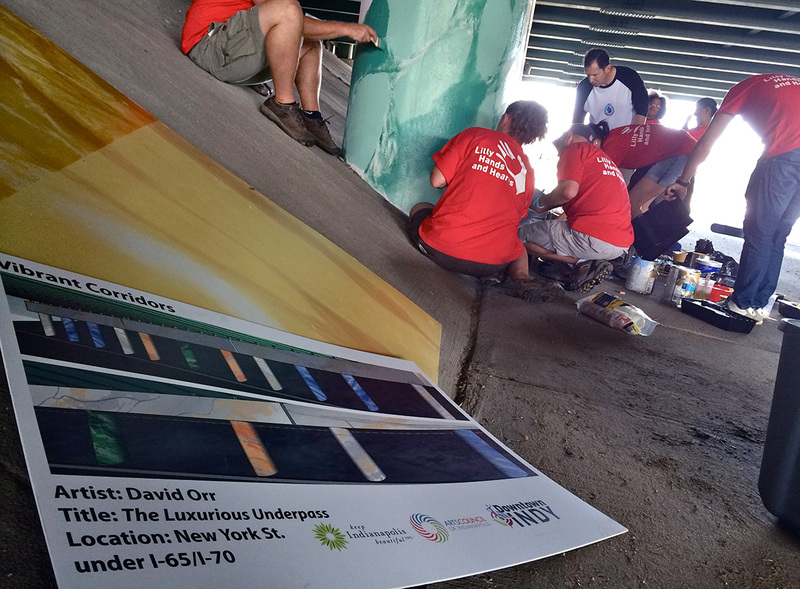 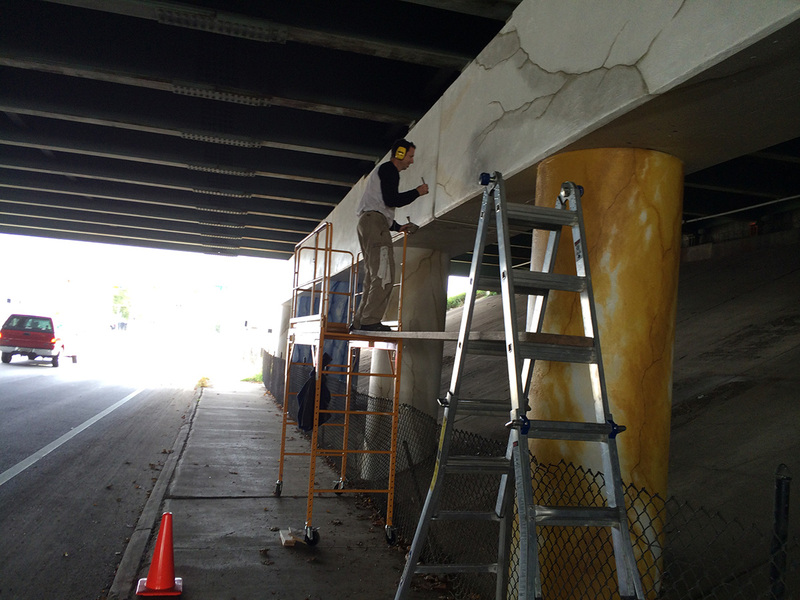 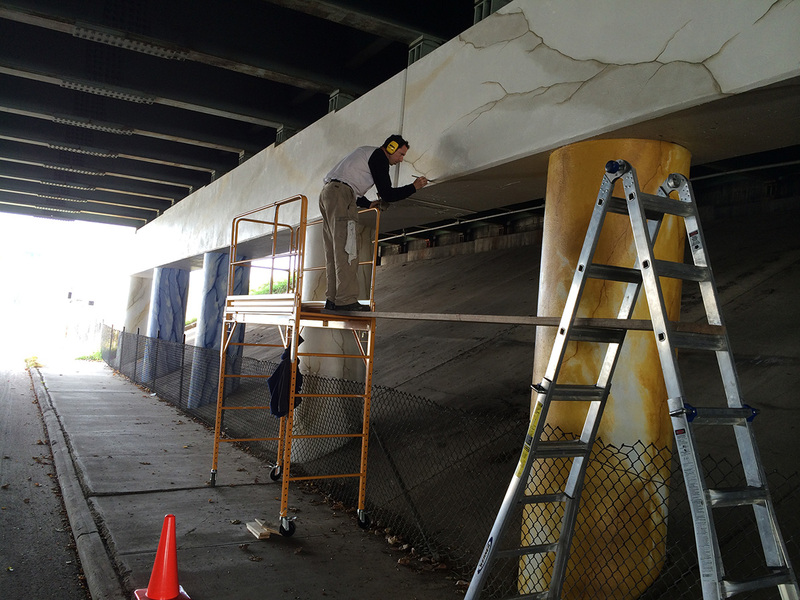 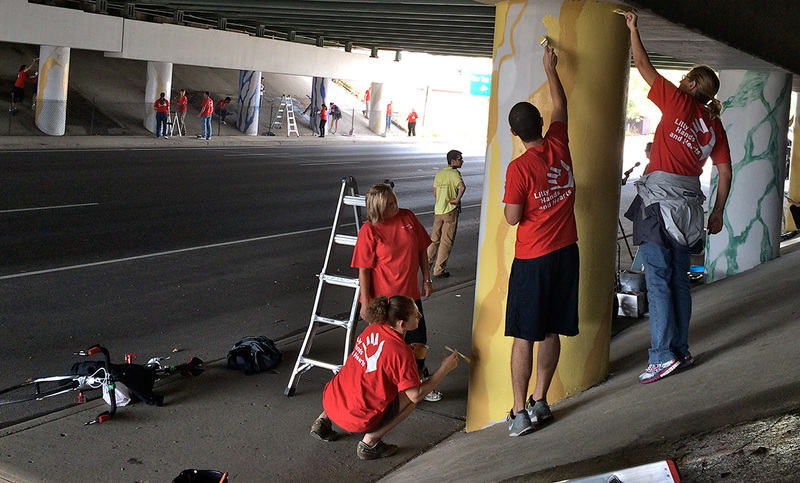 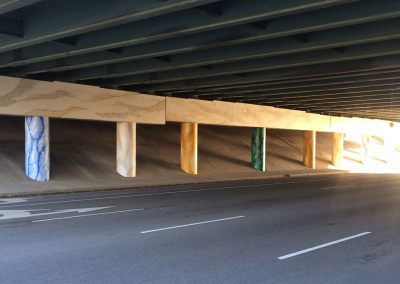 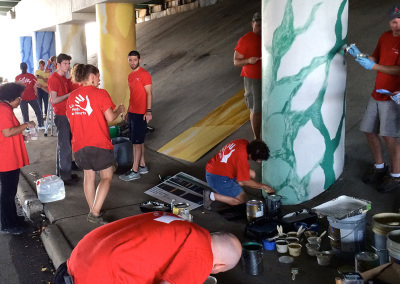 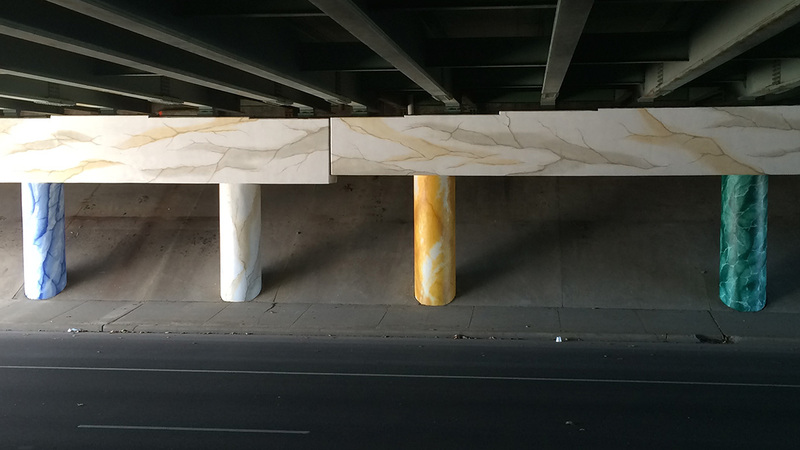 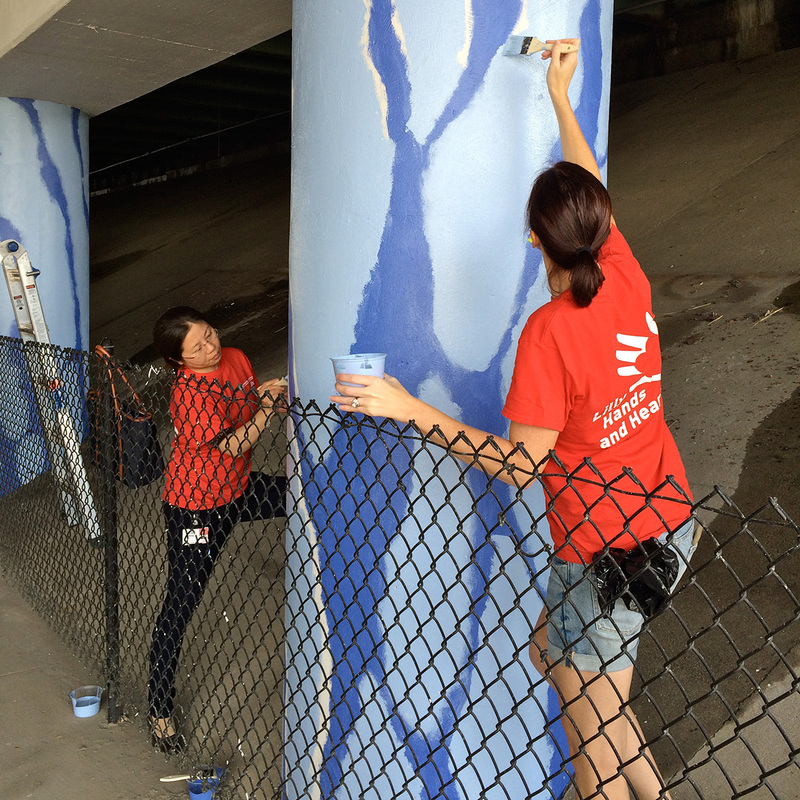 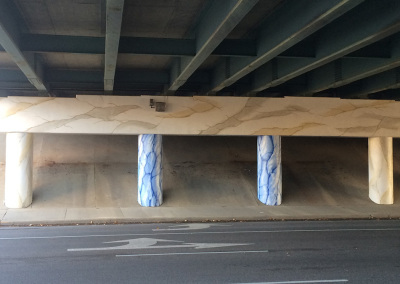 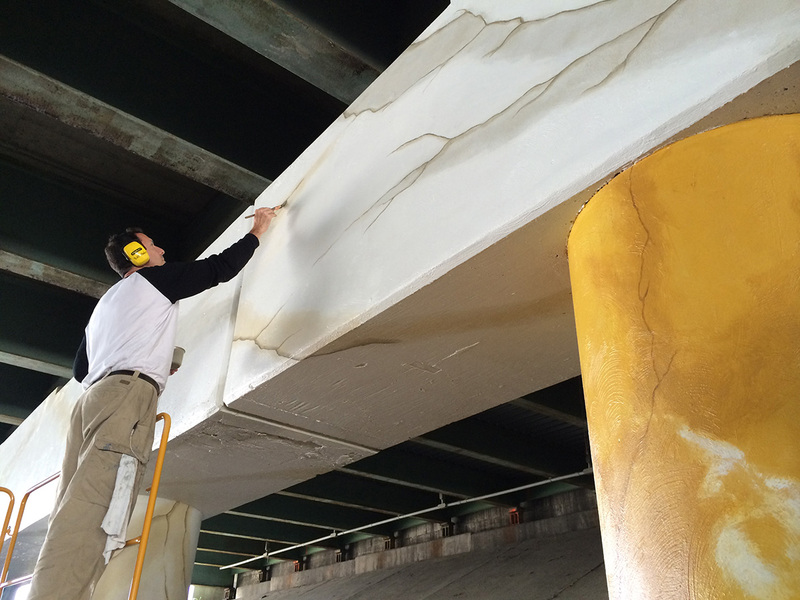 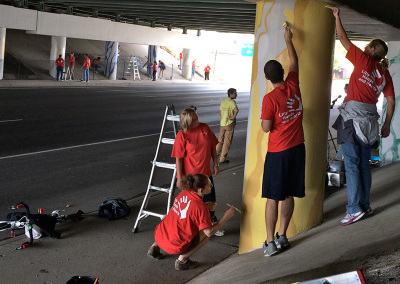 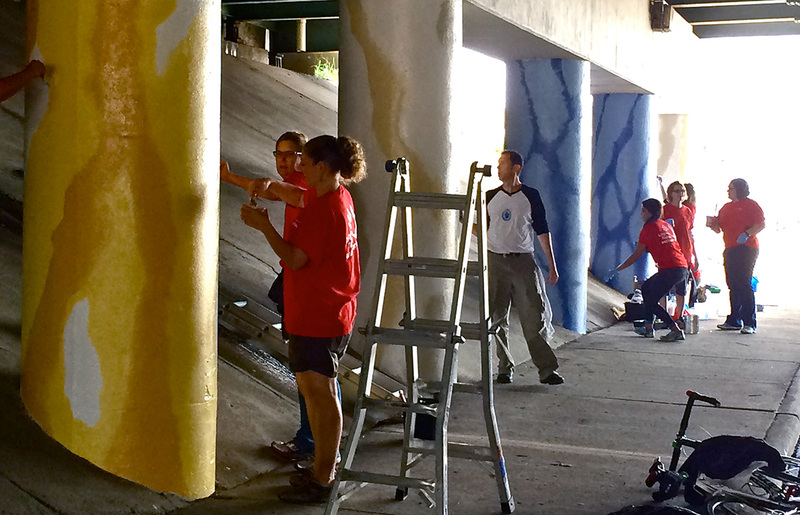 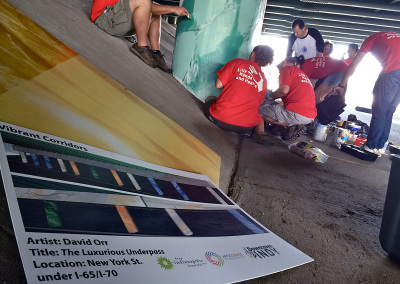 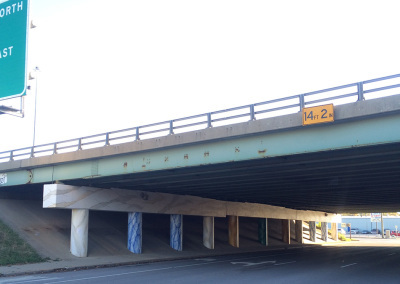 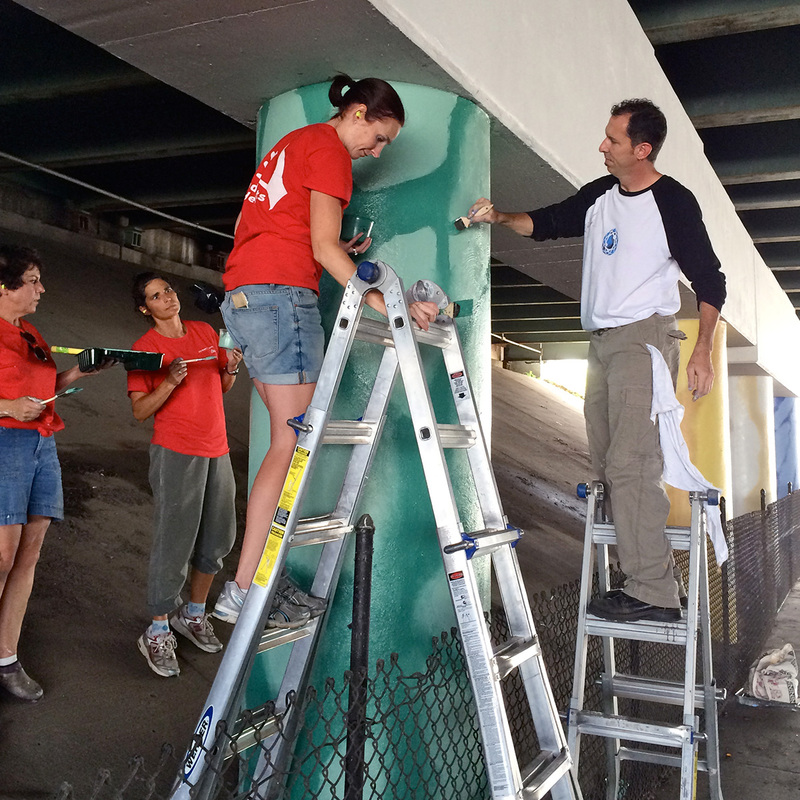 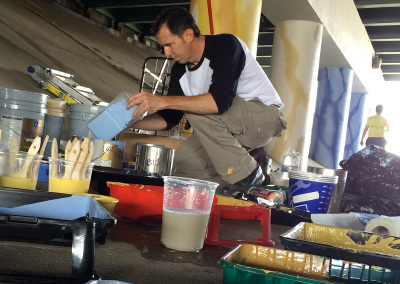 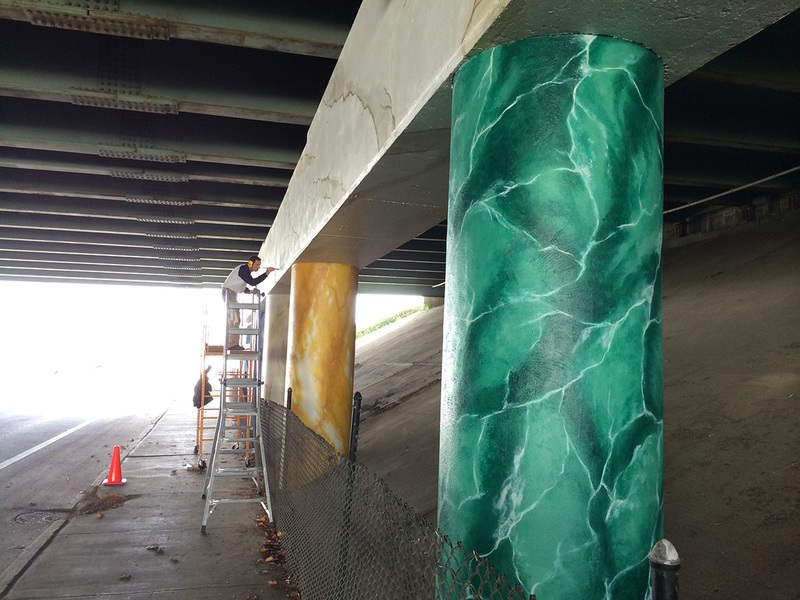 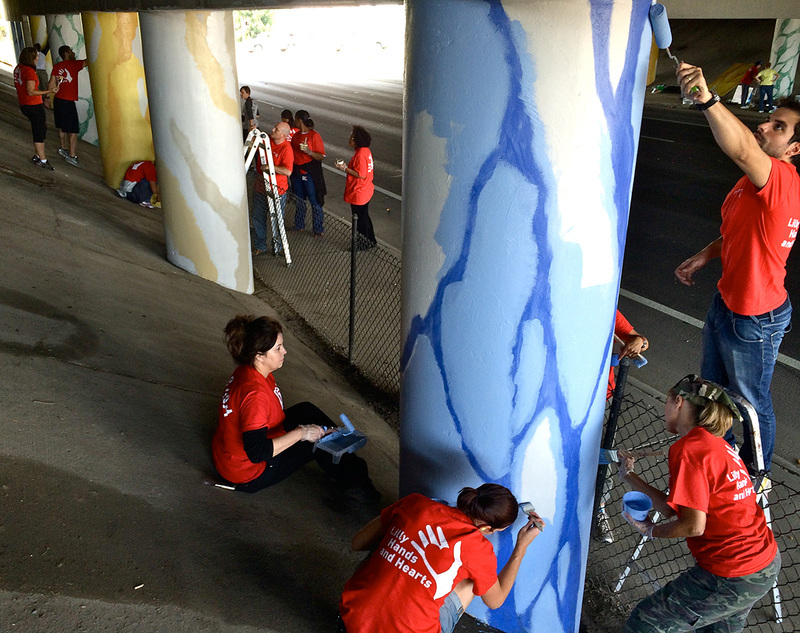 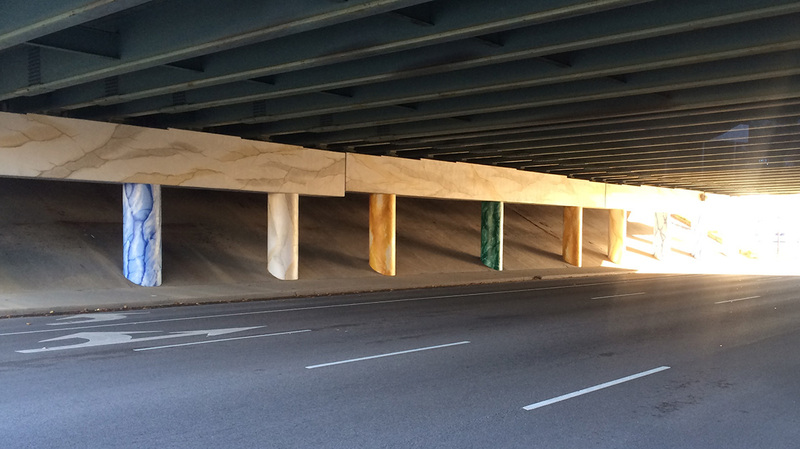 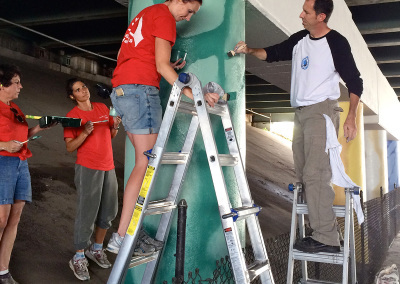 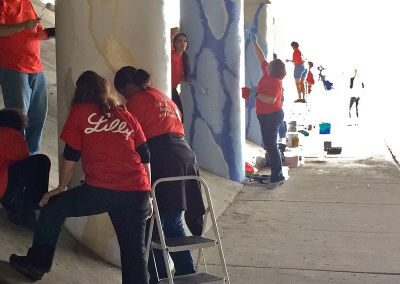 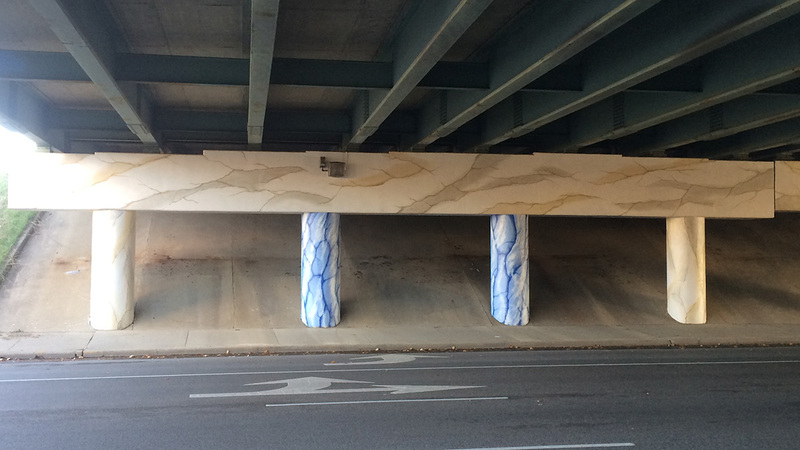 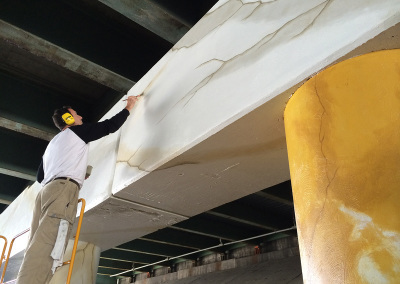 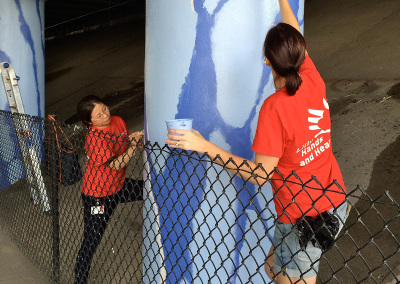 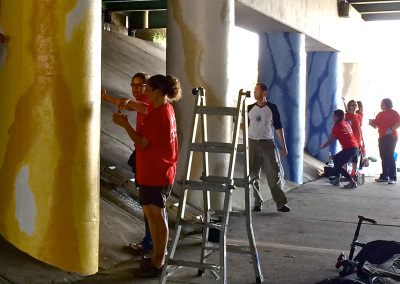 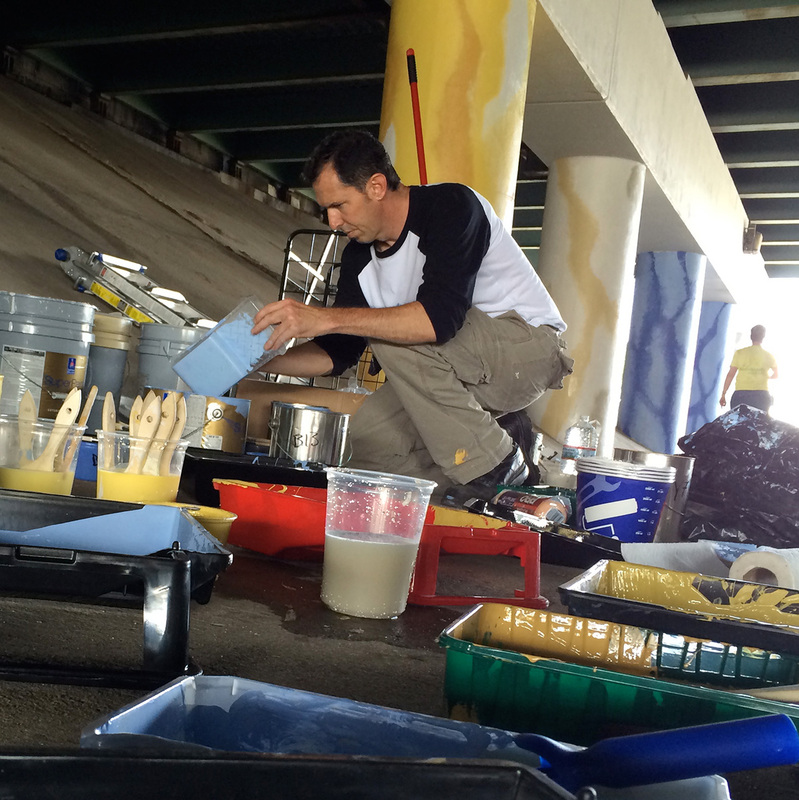 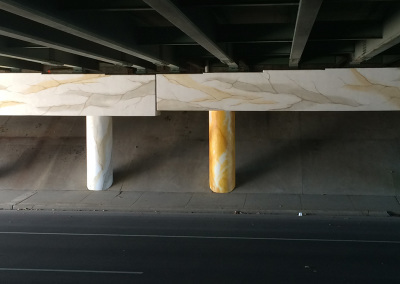 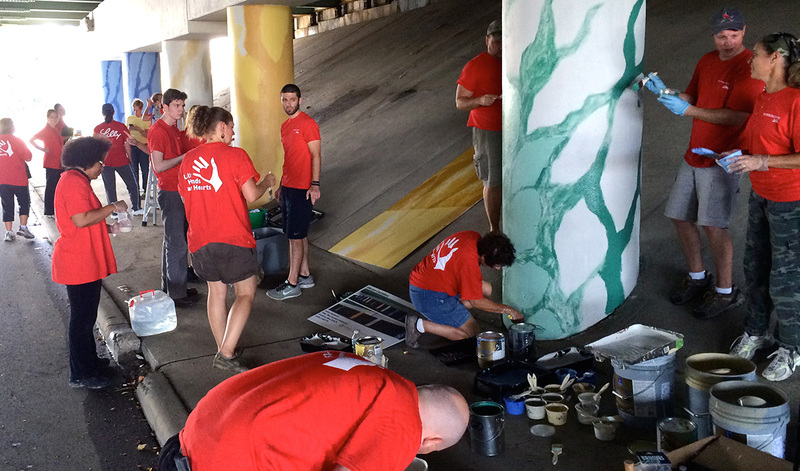 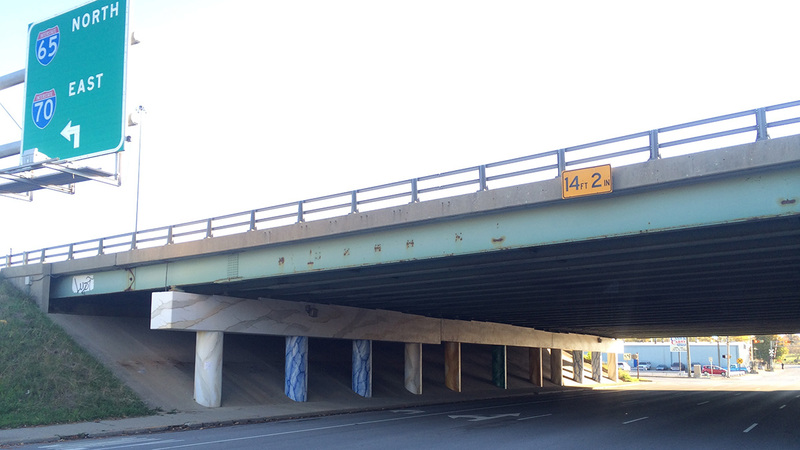 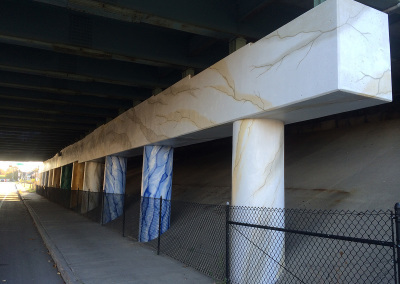 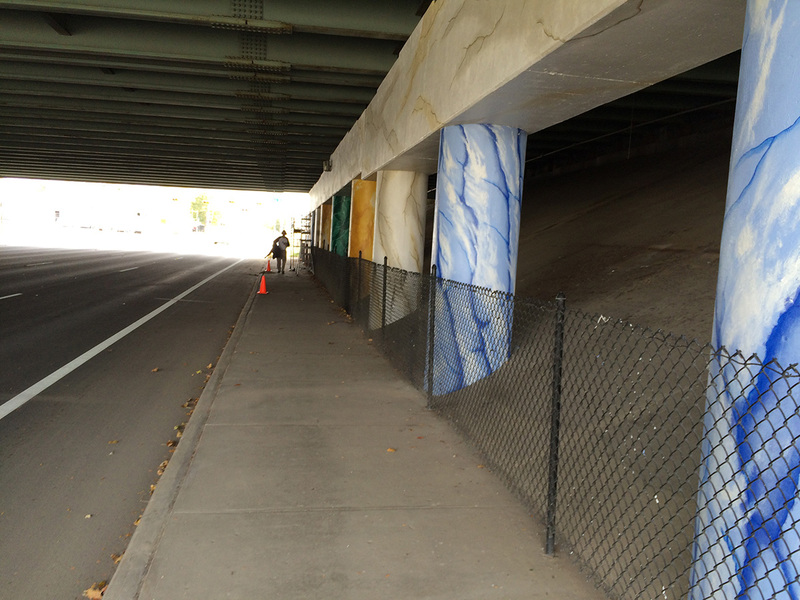 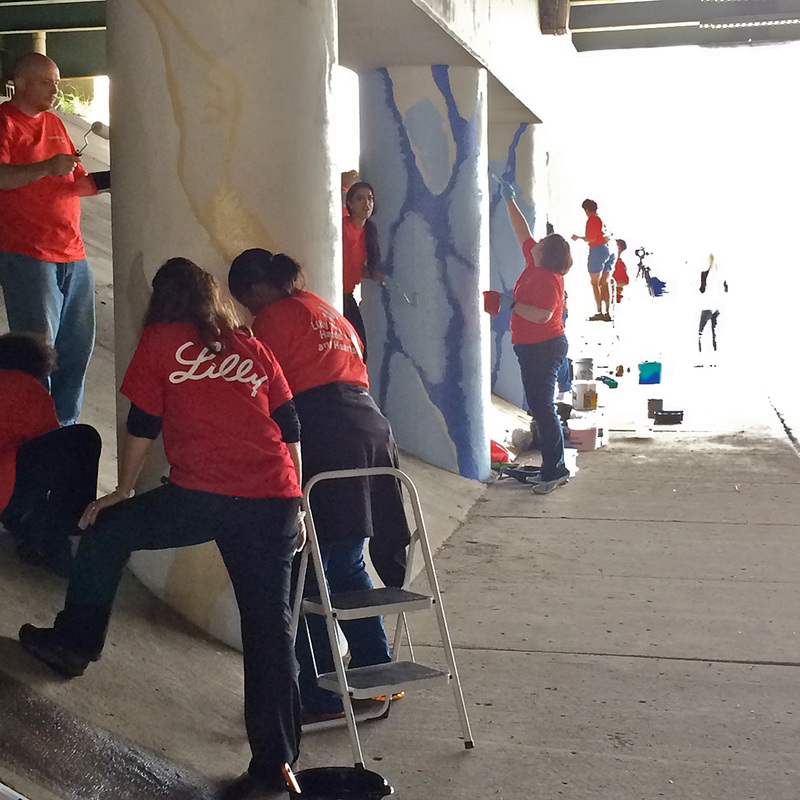 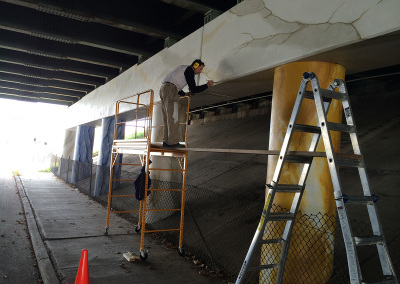 The Mural we worked on was at the underpass of New York St. under I-65/I-70.